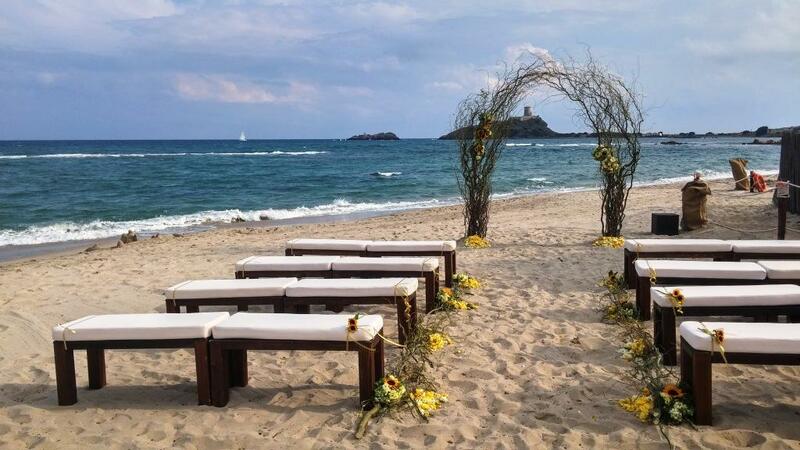 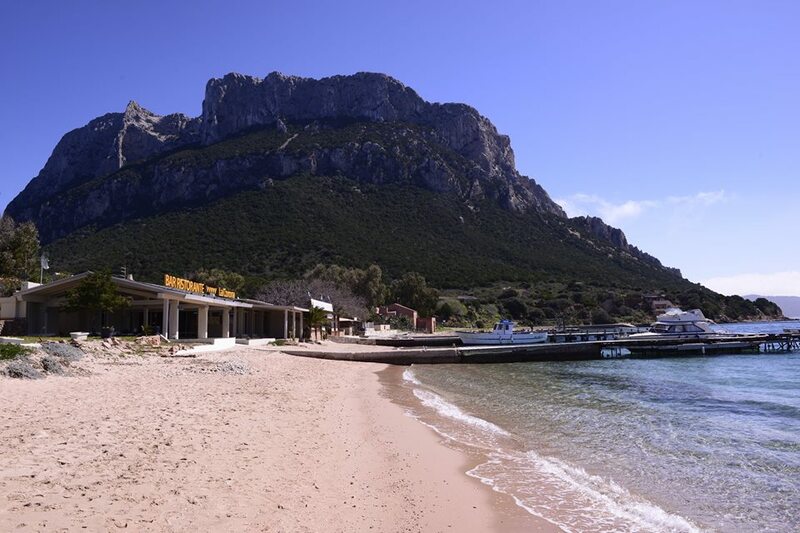 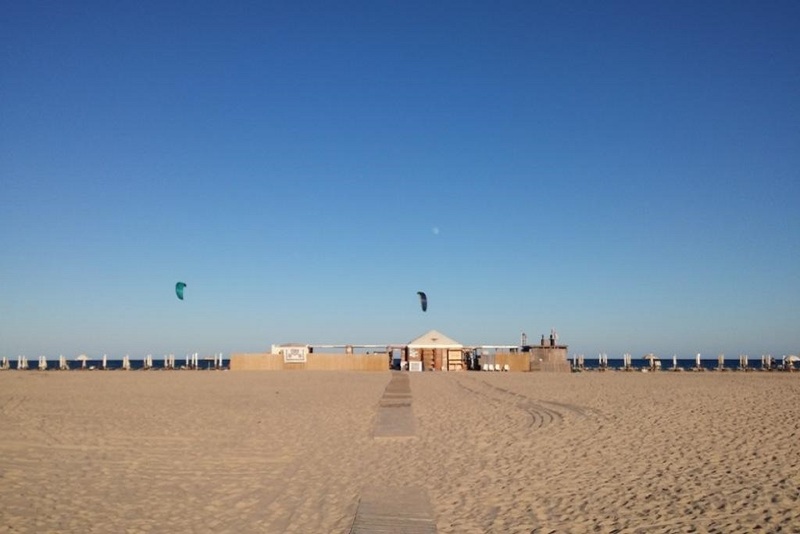 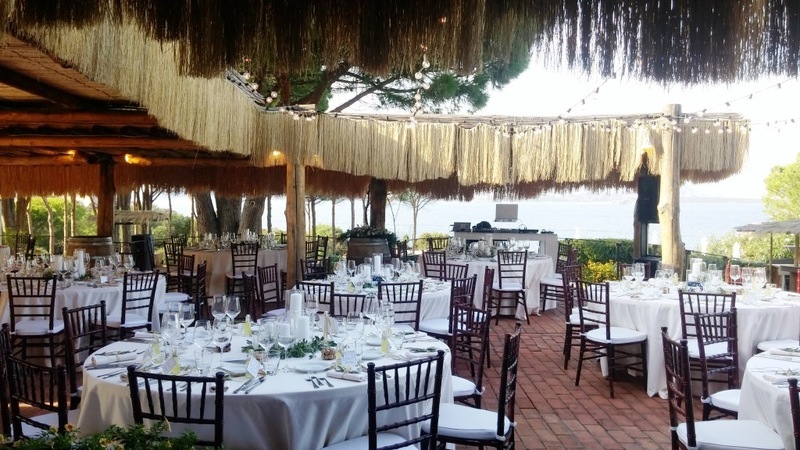 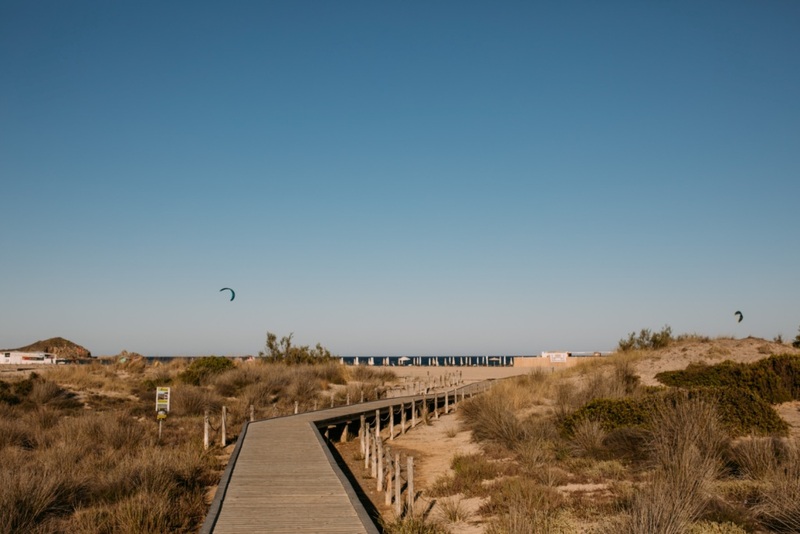 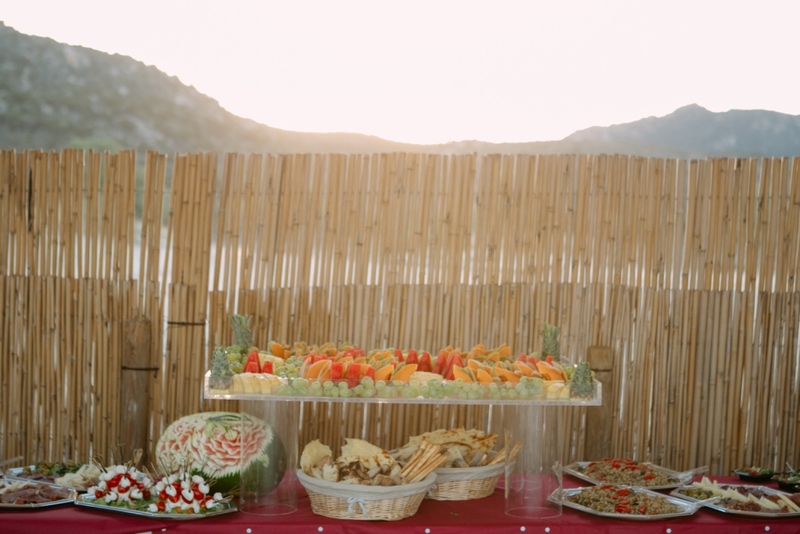 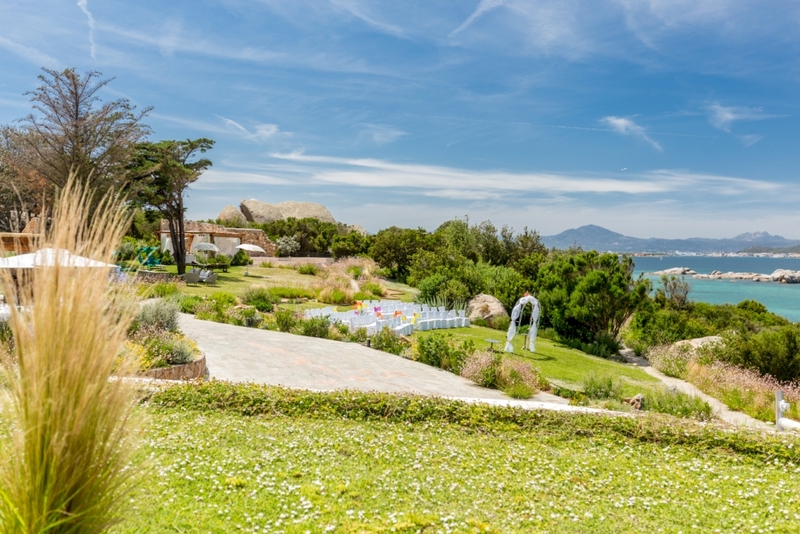 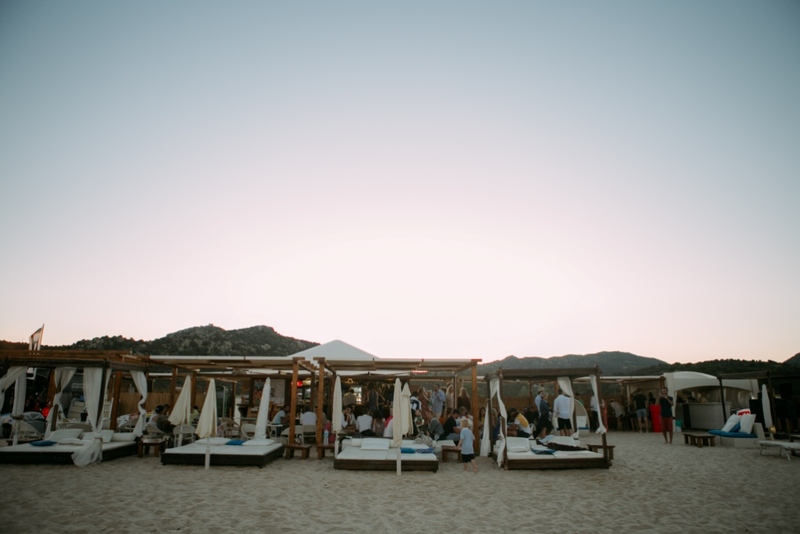 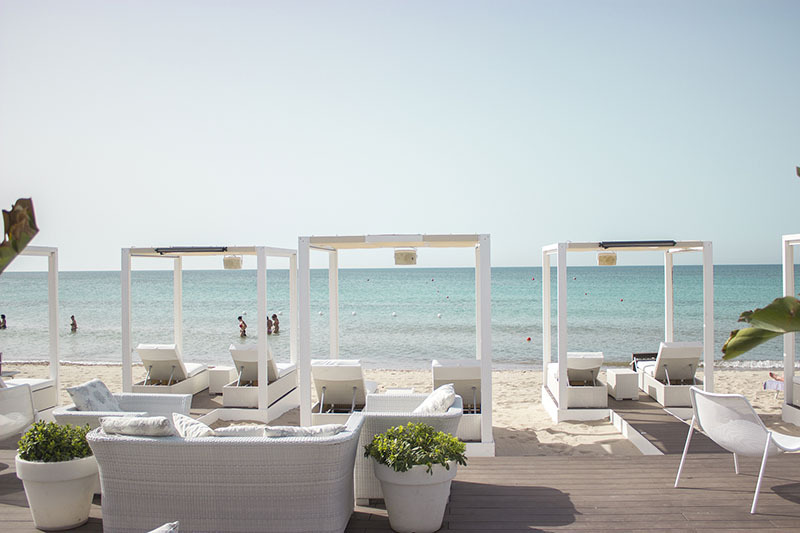 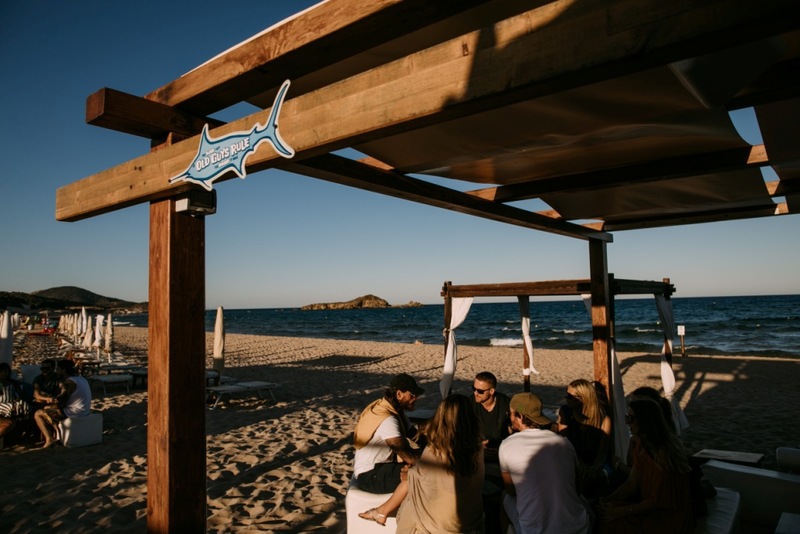 This fabulous venue is a beach restaurant located in the Poetto beach, 8 km of white sand and crystal water in Cagliari, the capital of Sardinia. 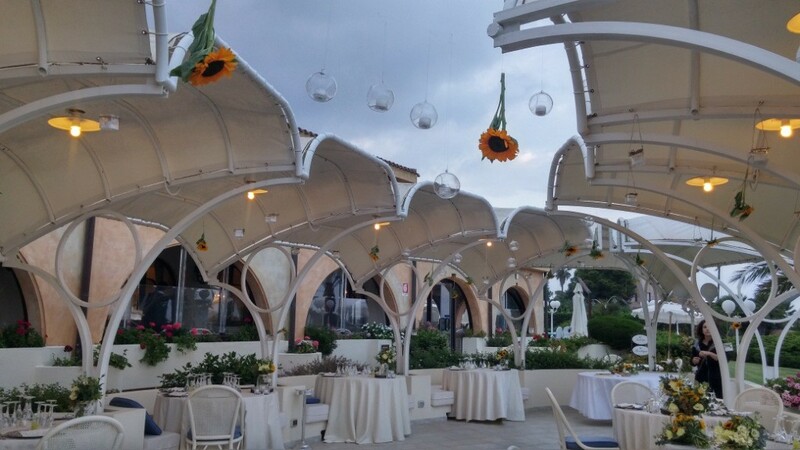 A suggestive and elegant venue, with a trendy restaurant and a lovely terrace with a fantastic view above the Gulf. 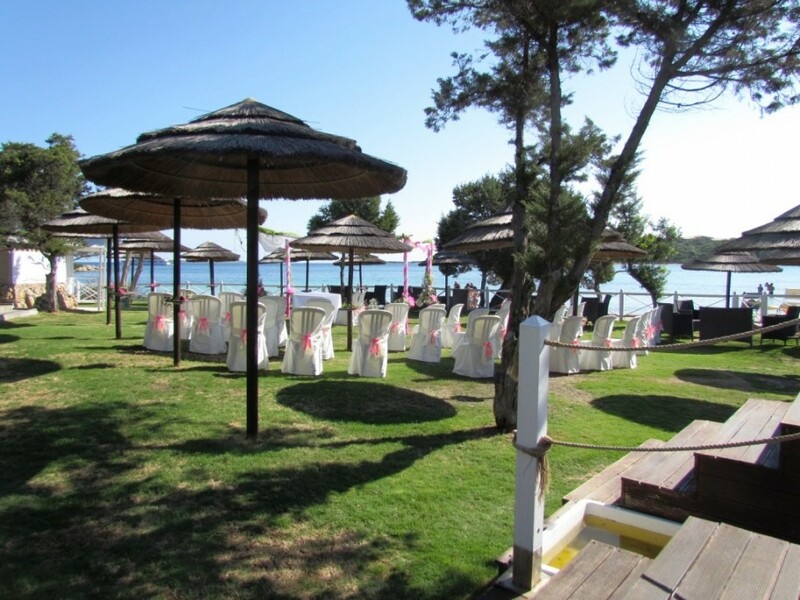 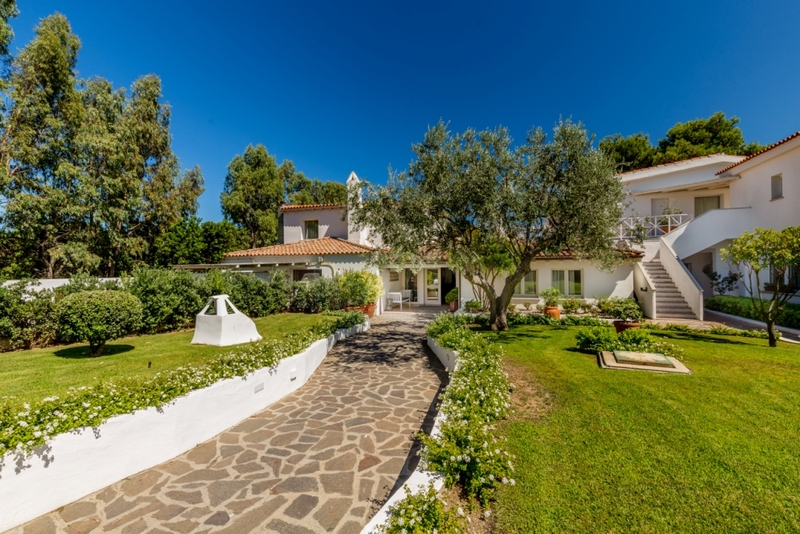 The perfect location for young couples looking for a charming but informal atmosphere. 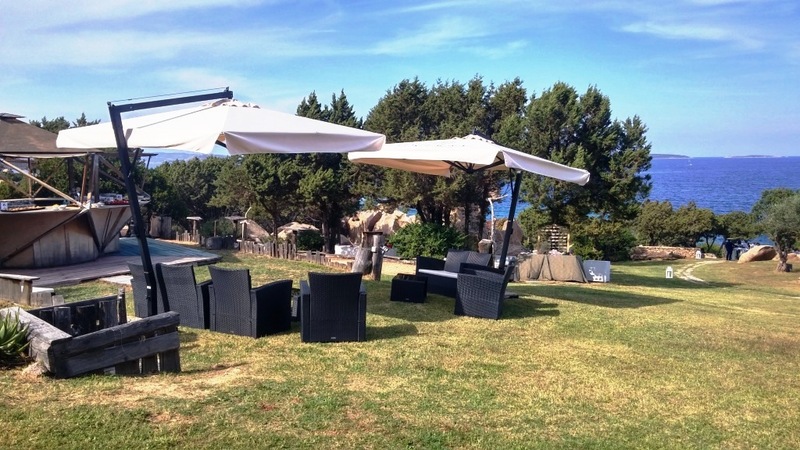 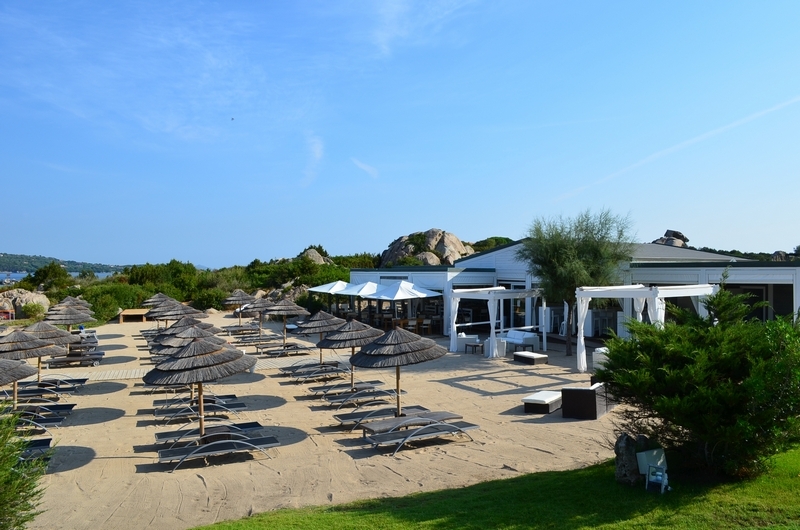 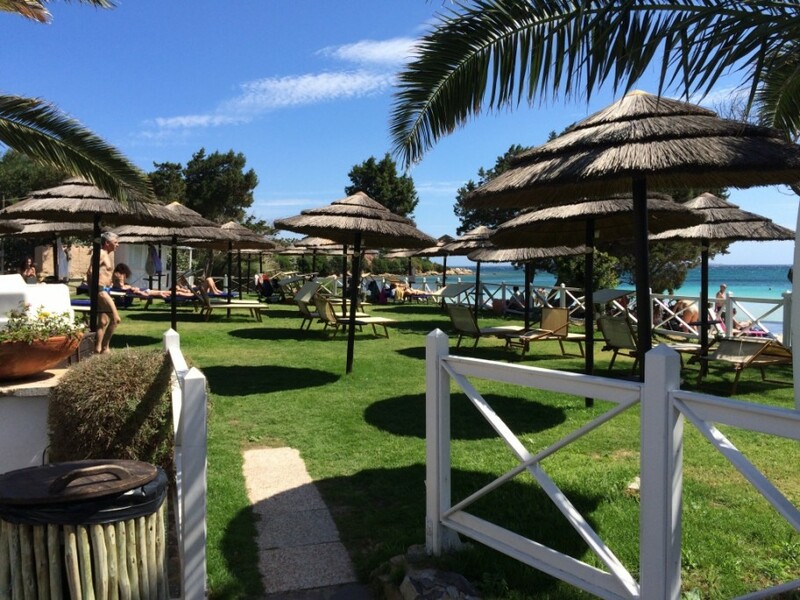 A fabulous beach restaurant located in a lovely village in Northern East Sardinia. 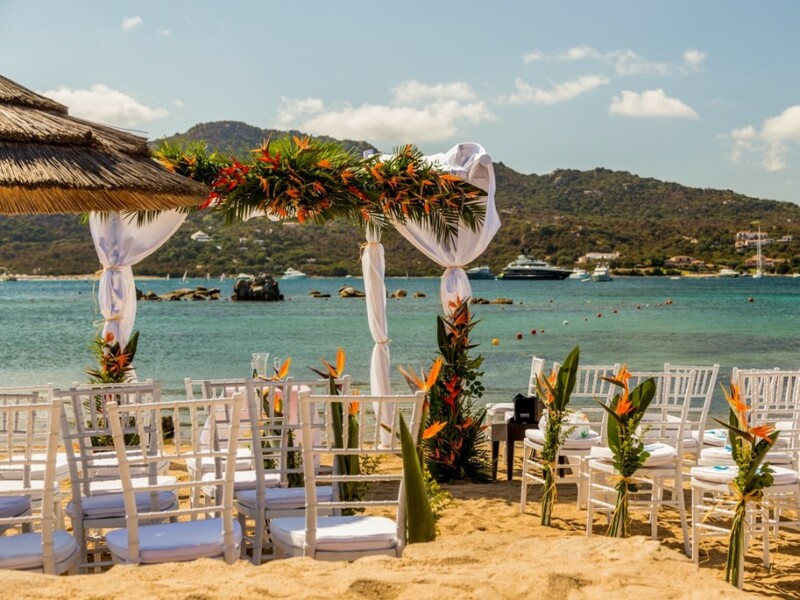 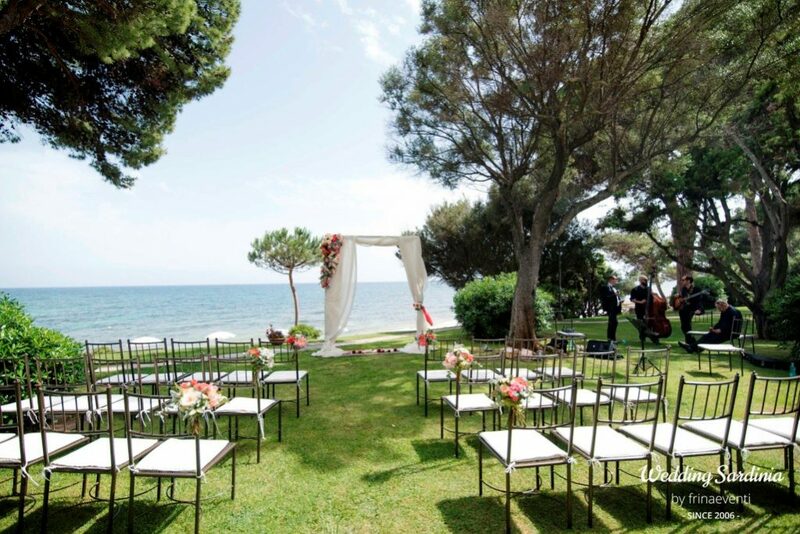 A suggestive modern venue, settled in one of the most beautiful white sandy beaches of the coast, with a trendy restaurant and a lovely terrace with gardens and an amazing view over the horizon . 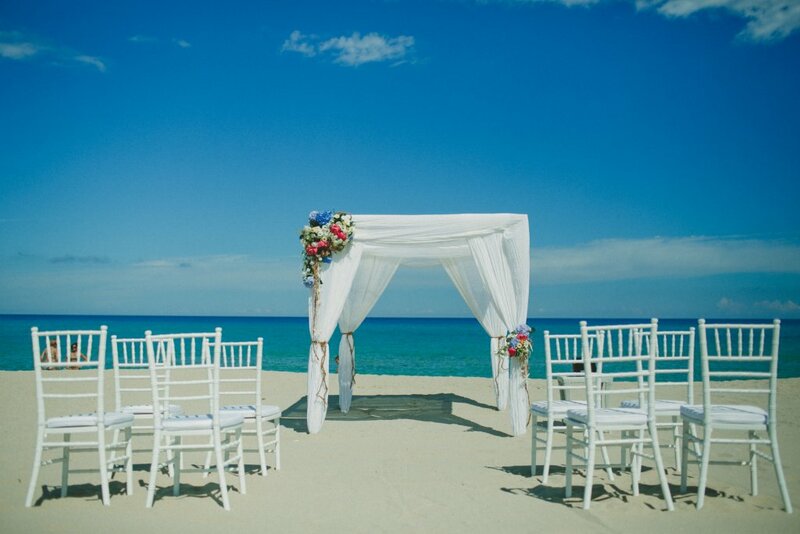 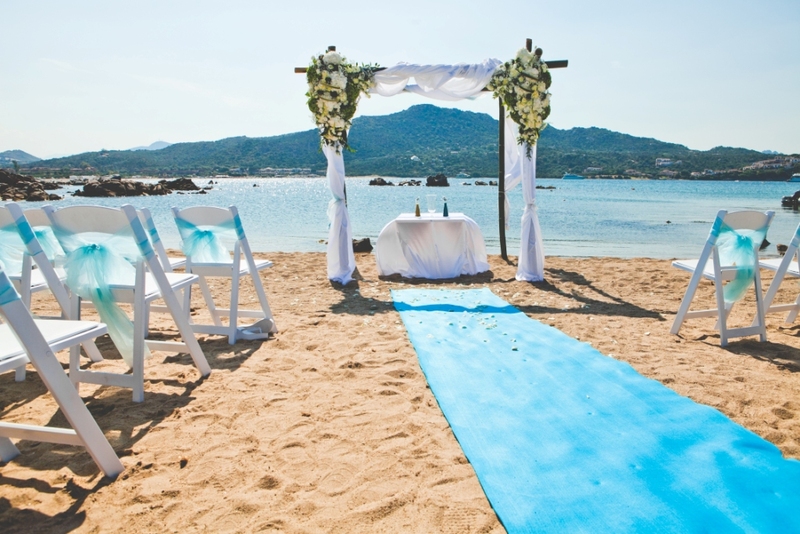 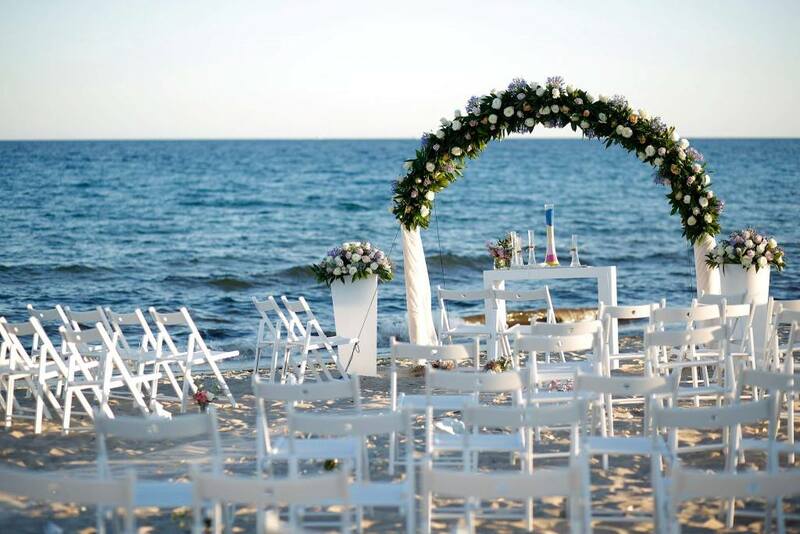 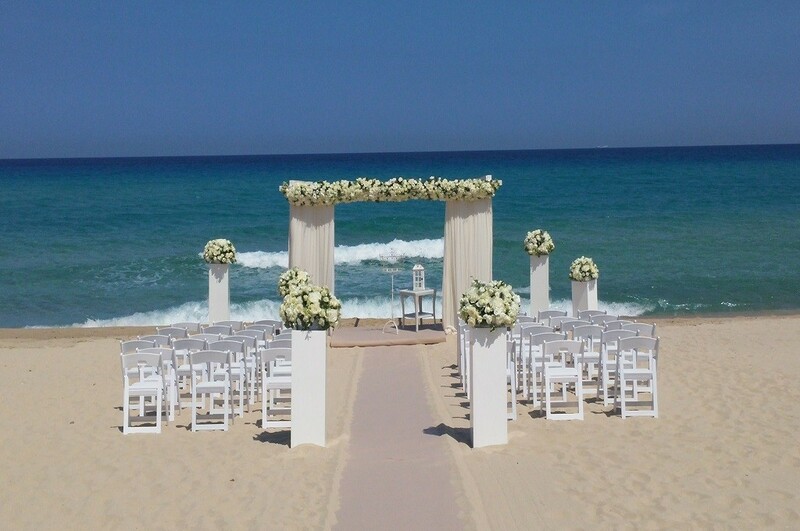 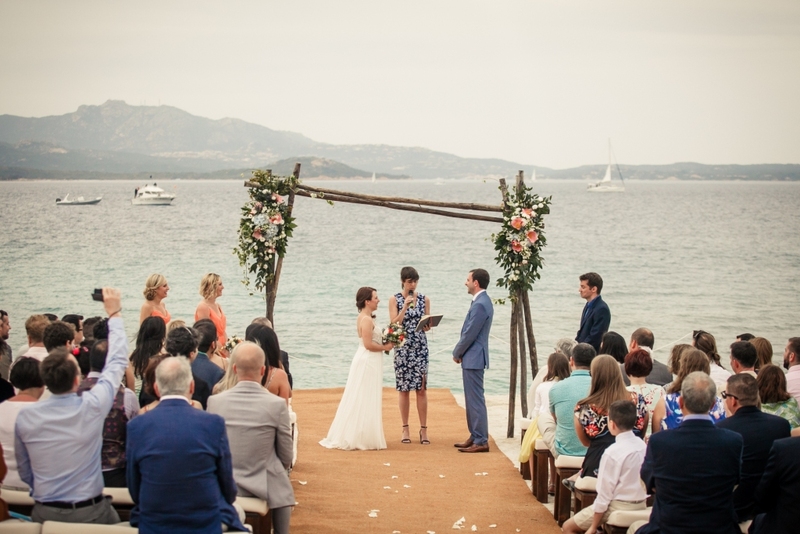 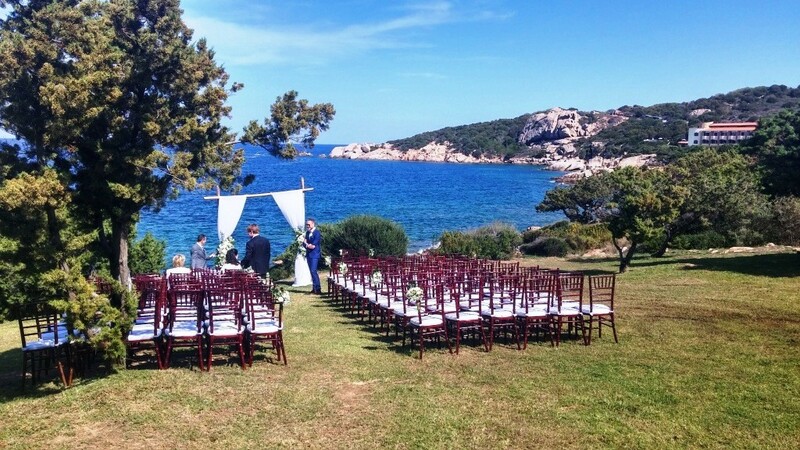 The perfect frame for young people searching for a dream wedding by the sea. 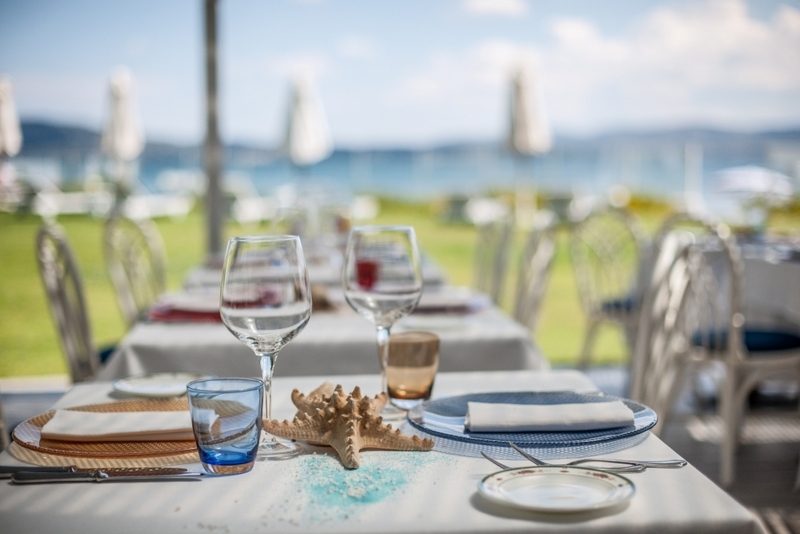 A suggestive new beach restaurant in one of the most glamorous seaside resort on the Emerald Coast. 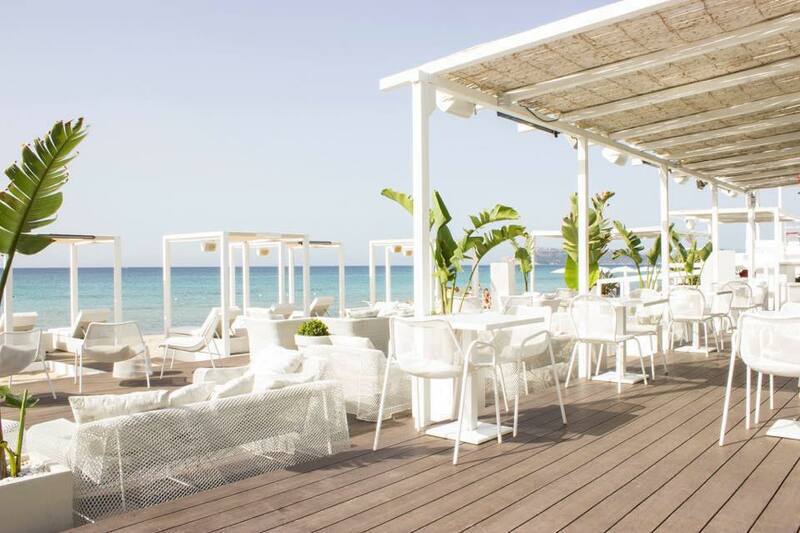 An elegant beach location with modern white gazebos and an indoor bar and restaurant just a few steps from the crystal blue waters. 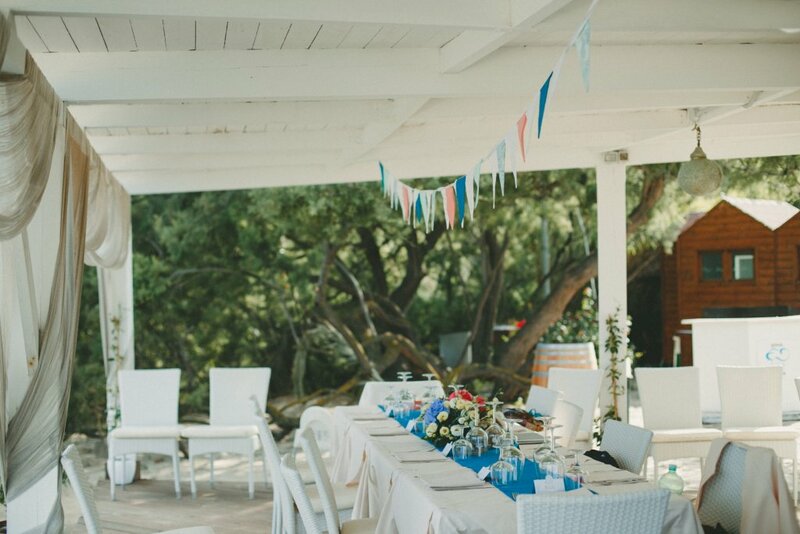 Open spaces, such as the beach and the garden, make this venue the perfect one for hosting late night parties surrounded just by magical lighting effects and the sound of waves. 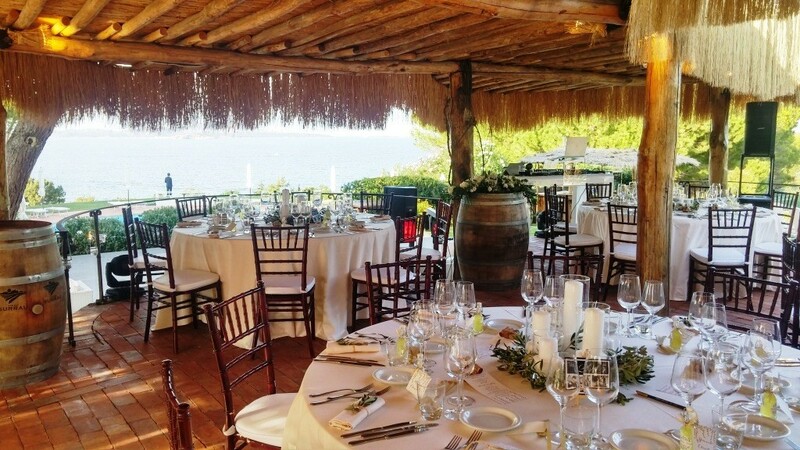 This is the ideal location for those wanting to celebrate a special occasion in a one-of-a-kind location. 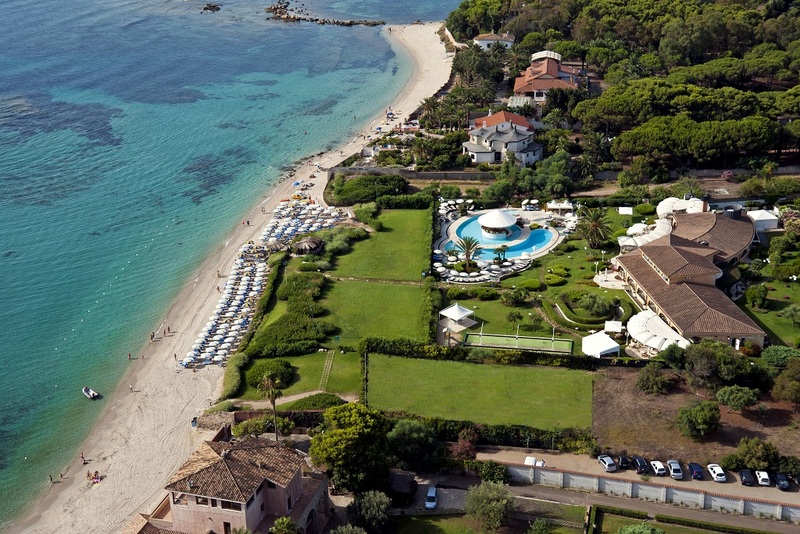 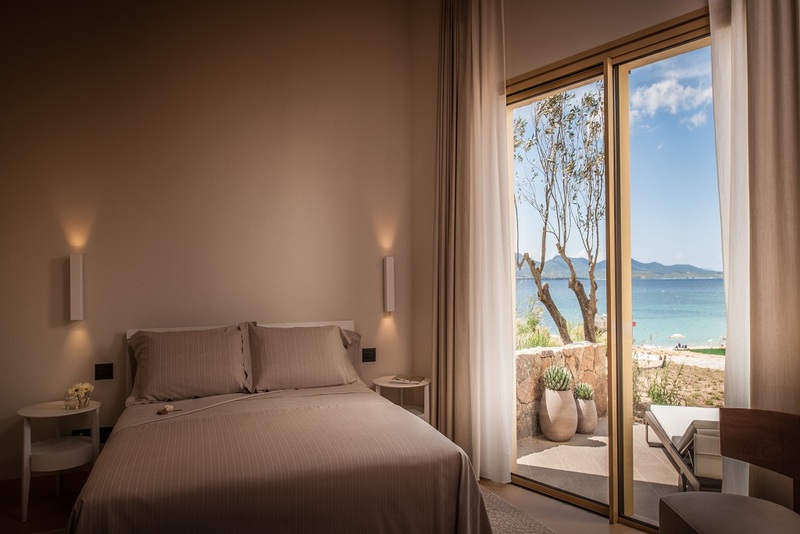 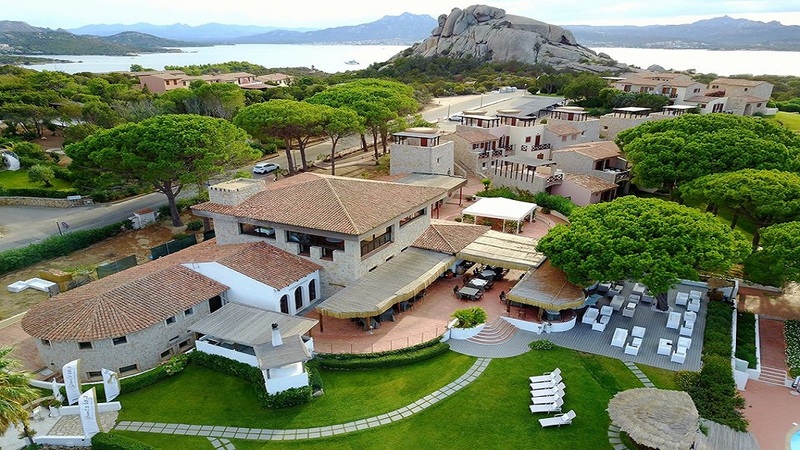 A 4* hotel overlooking a fabulous bay on the Southern coast of Sardinia. 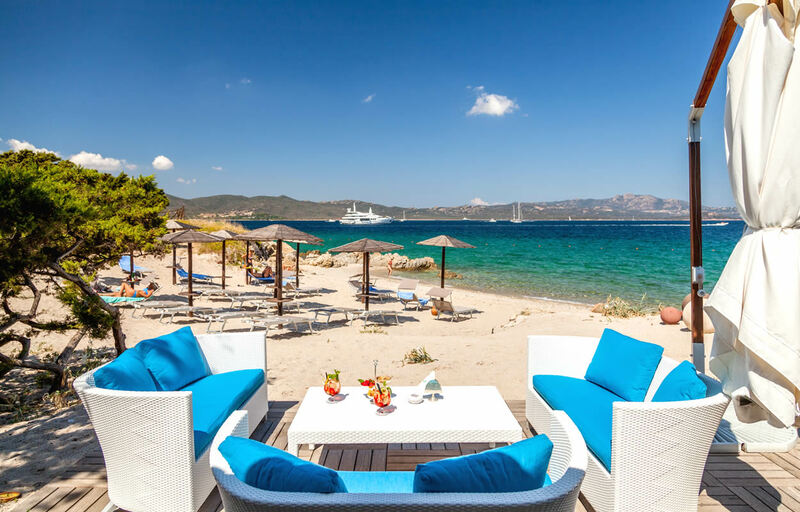 This hotel can boast of a truly unique, unrepeatable position, a few meters from a spectacular private white sandy beach, surrounded by a natural scenery which is among one of the most beautiful in the island. 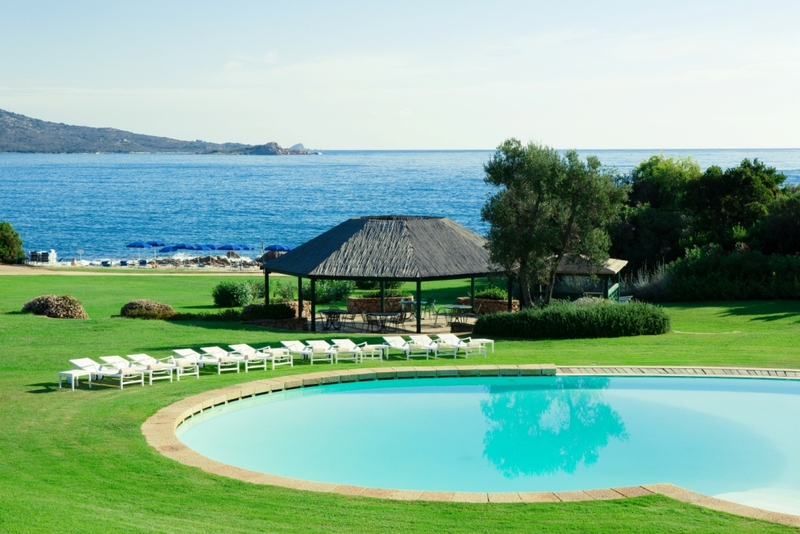 Extensive green spaces, romantic panoramic rooms and suites with verandas and an exceptional sea water pool just a few distance from the sea. 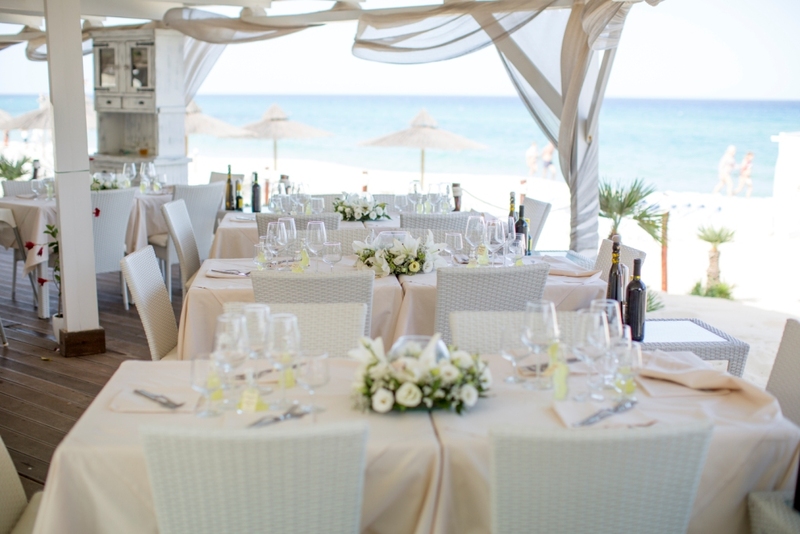 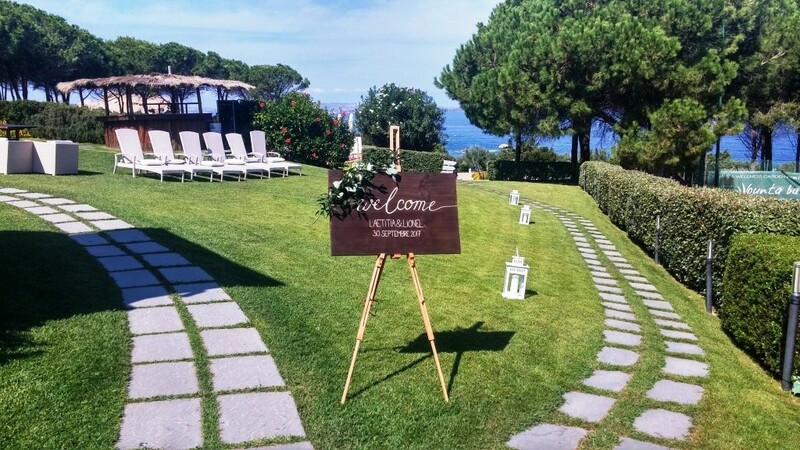 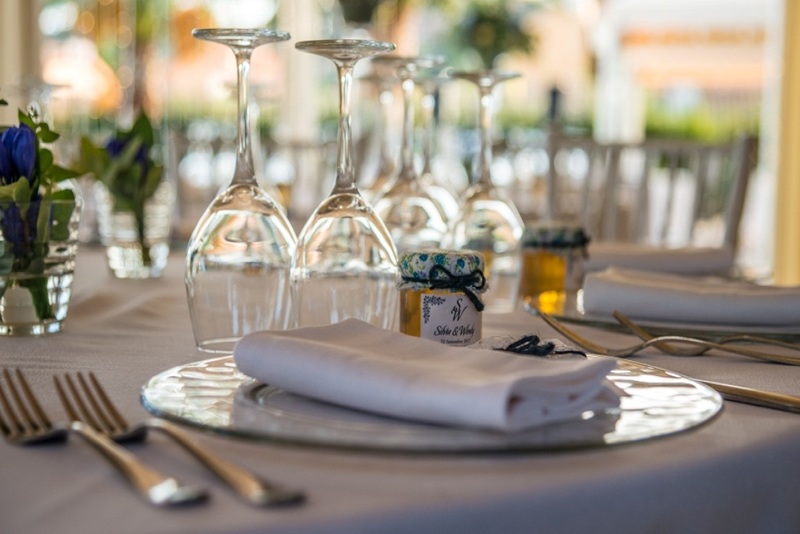 Wedding receptions can be held in the inside restaurant, in the open terrace or directly in the seaside garden. 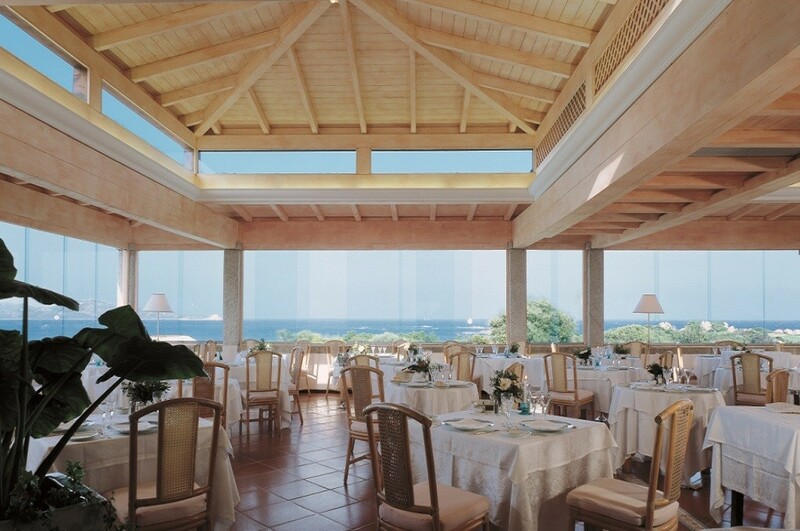 First class service, superior cuisine, breathtaking panoramas for a really exotic experience. 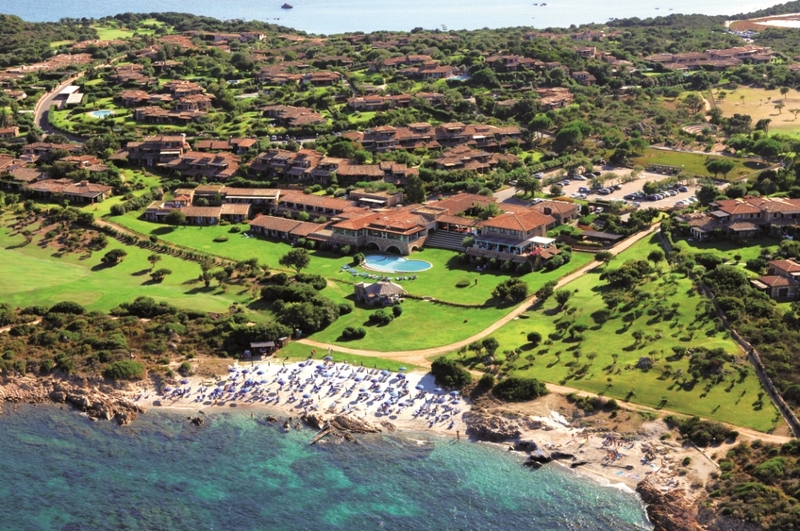 An adult-only hotel set on the Northern-East coast of Sardinia. 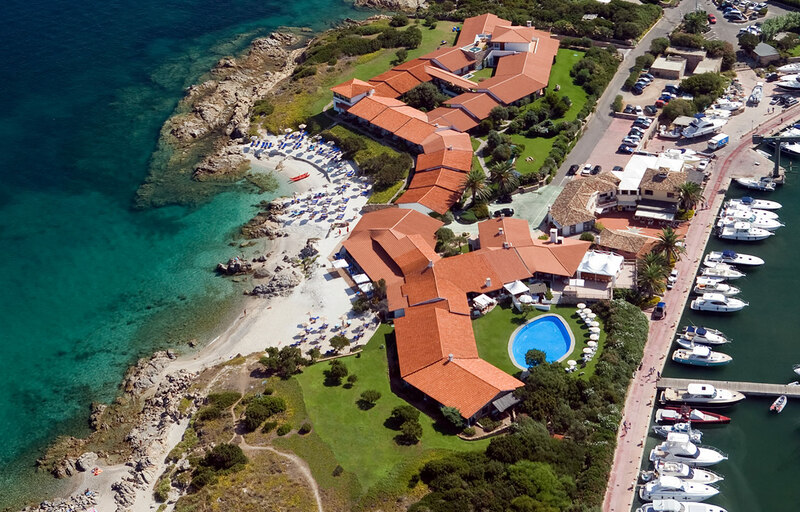 The uniqueness of this resort is its privileged position directly on the beach. 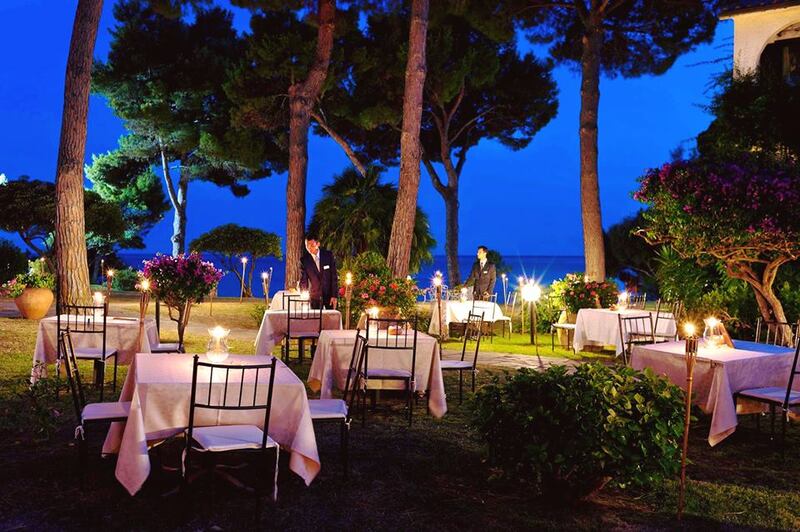 A romantic setting with rooms and suites with a panoramic sea view, and a beautiful private garden with free access to a sandy beach. 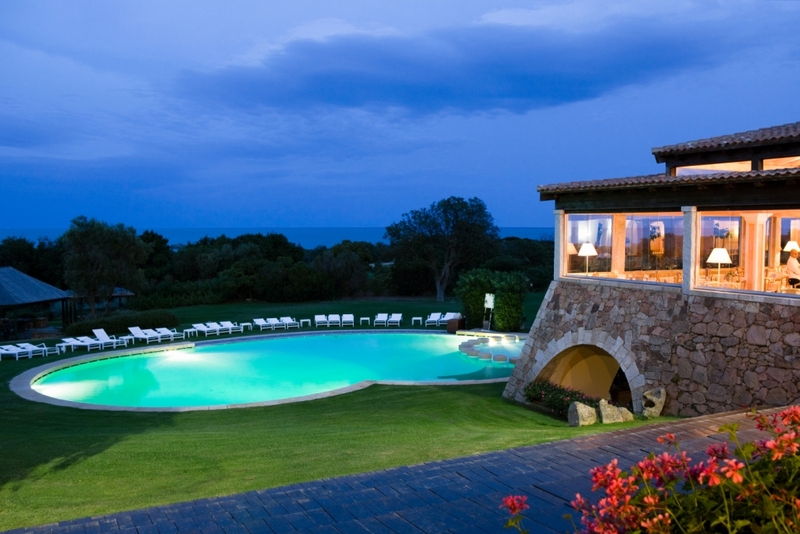 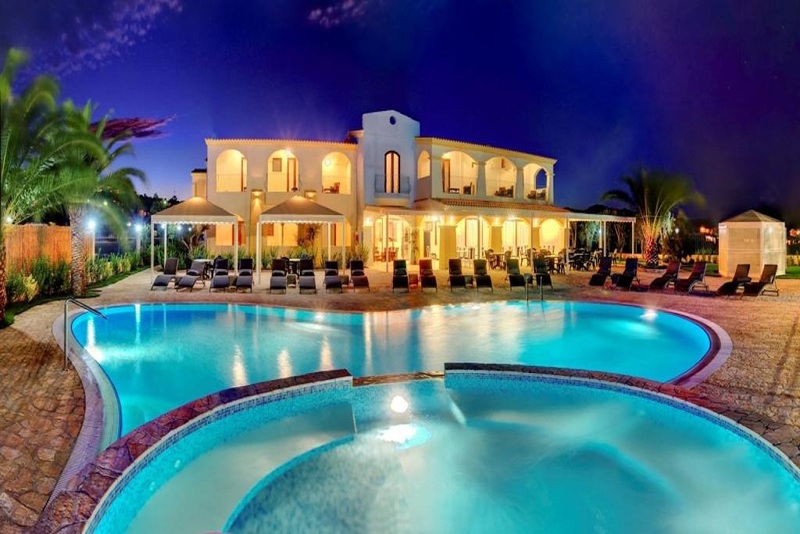 It also features an outdoor pool and a restaurant with a specious terrace overlooking the sea. 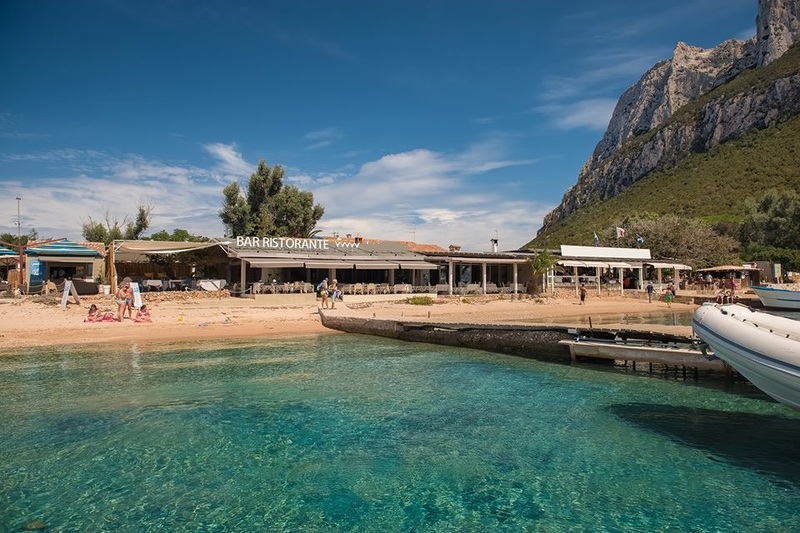 An historical restaurant set directly on a white sandy beach in one of the most beautiful Mediterranean marine parks on the Northern-East coast of Sardinia. 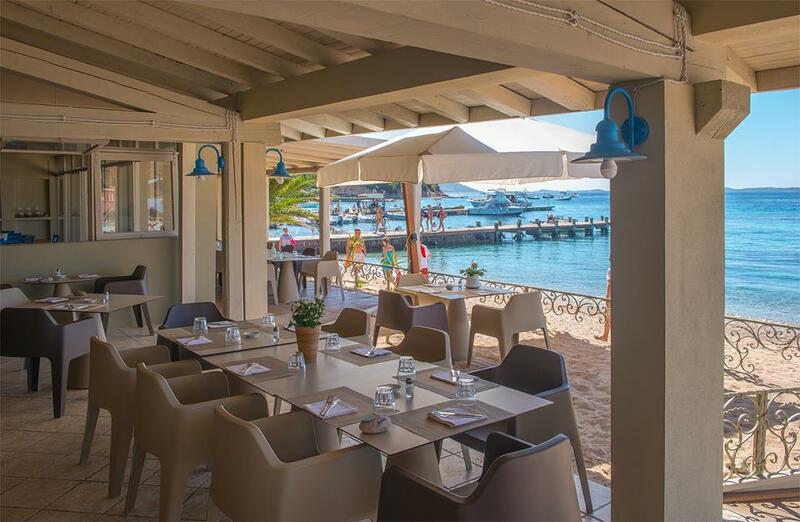 Completely renovated, this beach restaurant offers a unique and suggestive atmosphere. 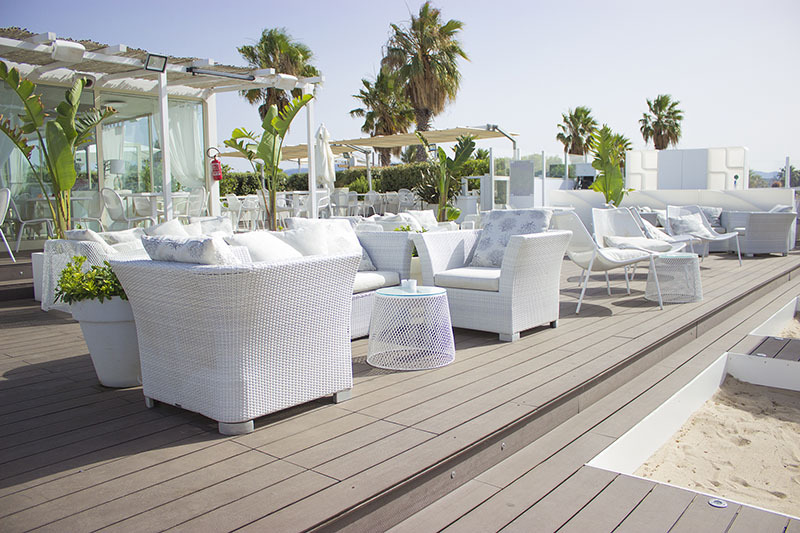 White and blue are the predominant colours for this stunning panoramic terrace, mixed with a well-balanced use of wood. 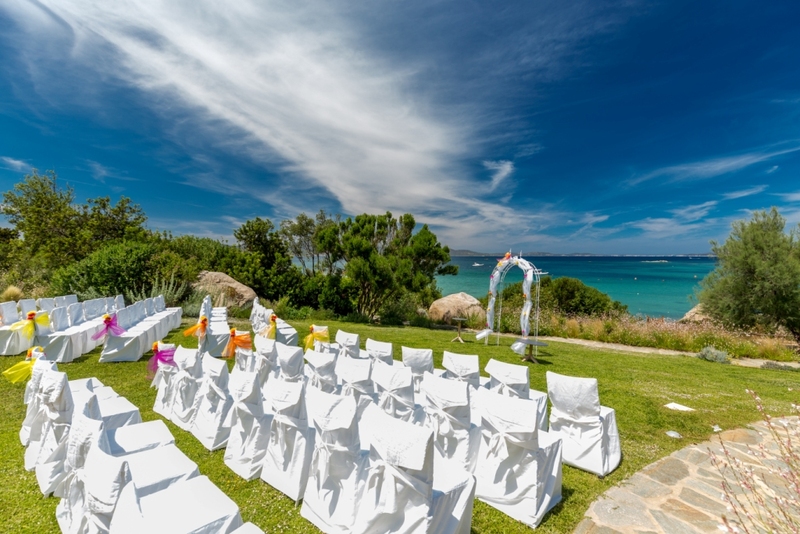 A perfect seafaring style location for your special day. 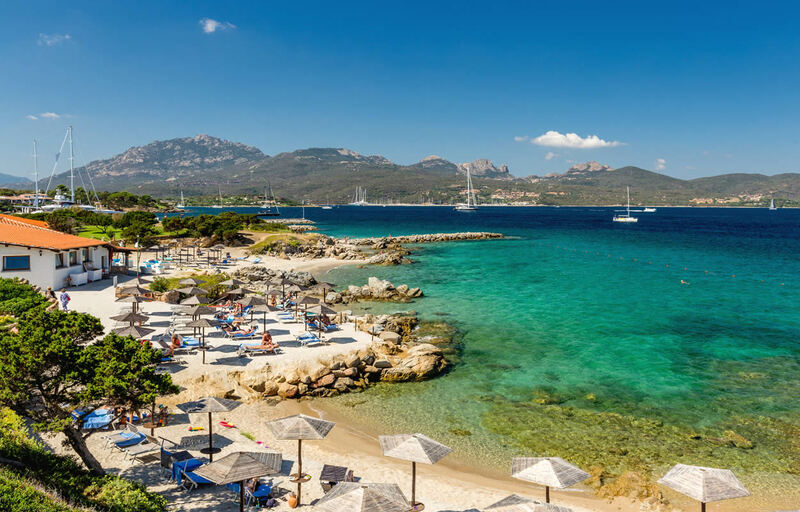 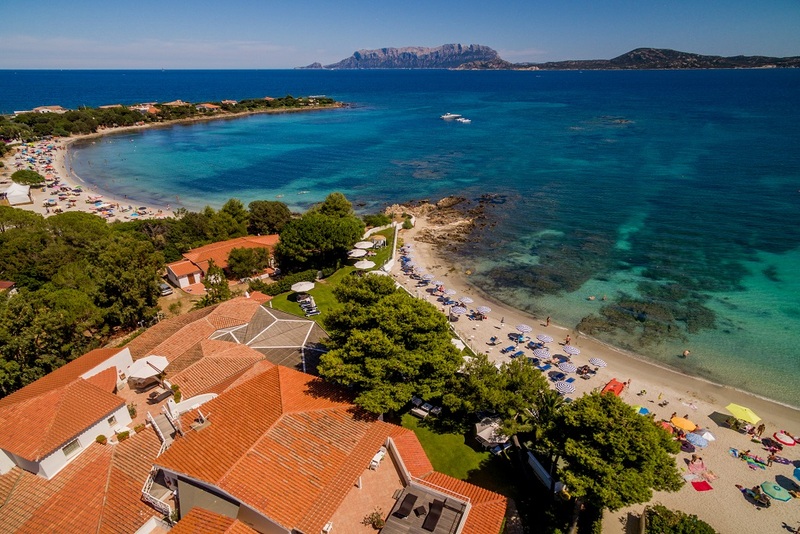 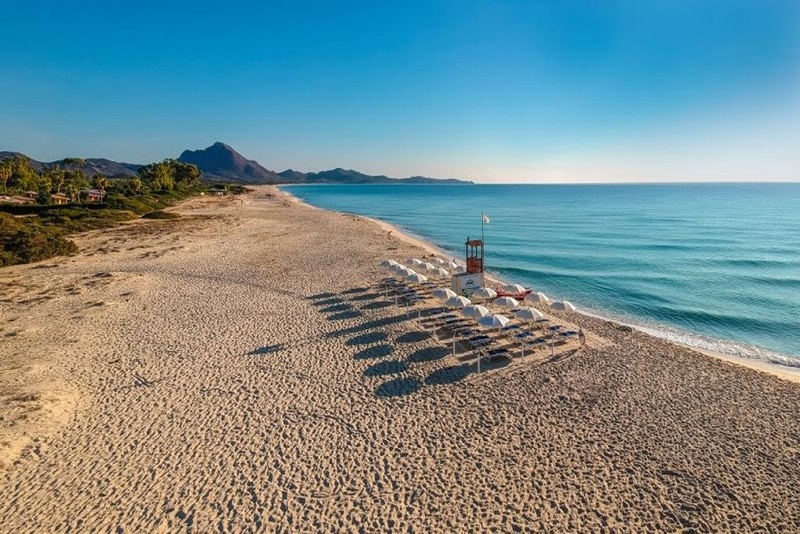 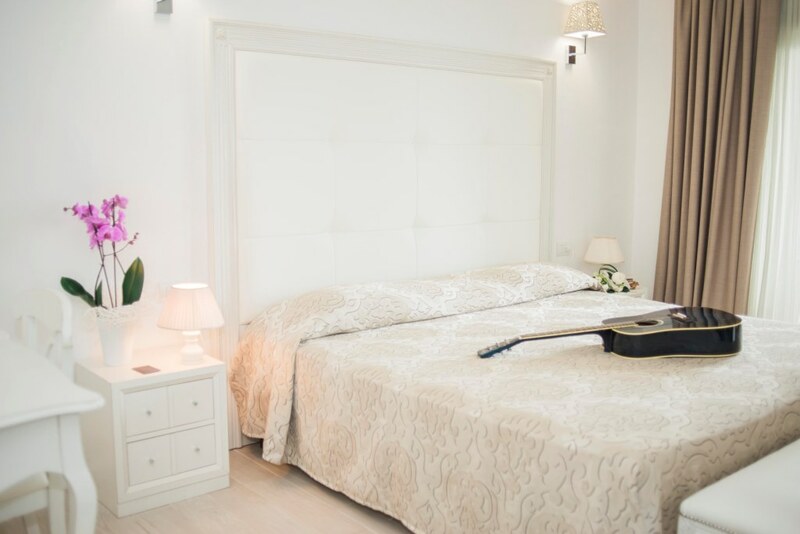 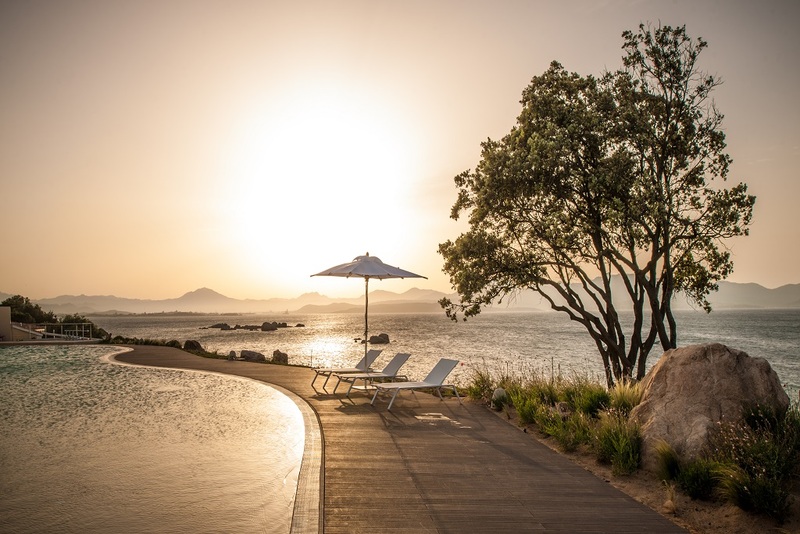 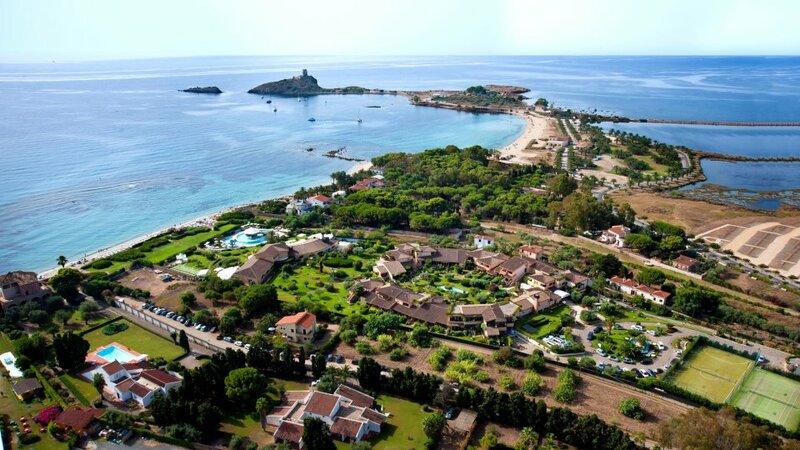 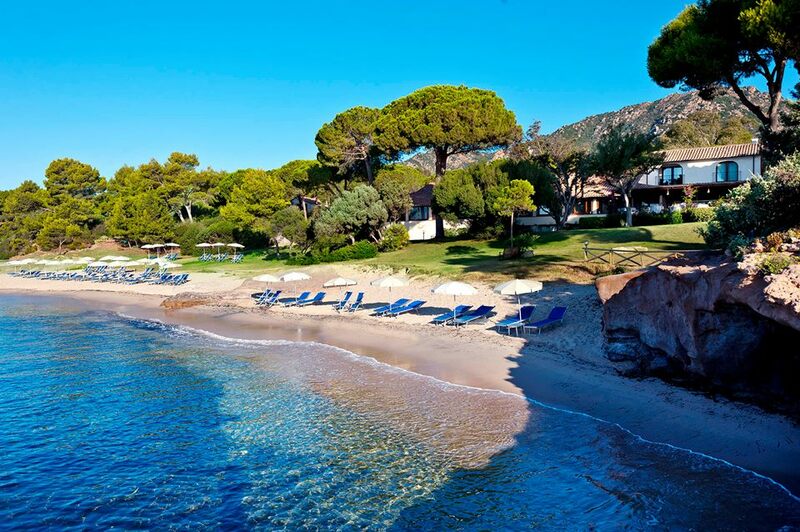 Set in one of the most charming and luxurious stretches in Southern Sardinia, close to an ancient Phoenician archaeological site, this hotel boasts a private sandy white beach with crystal blue water. 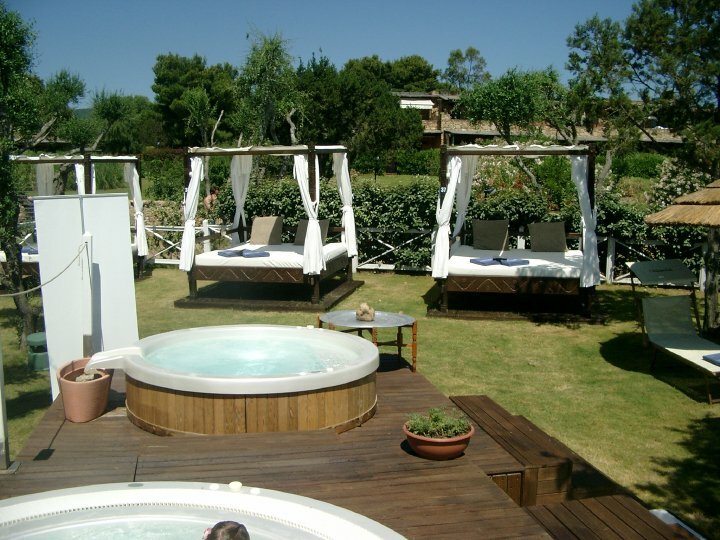 Elegant rooms and suites are arranged in semi-circle, with different panoramic views and surrounded by a lush garden and a unique fountain. 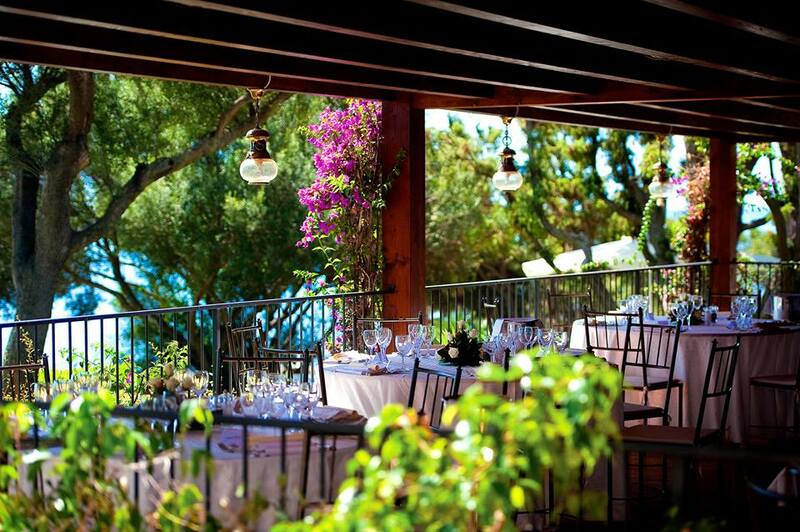 Wedding receptions can be held in the spacious poolside veranda or inside the warm and lovely restaurant. 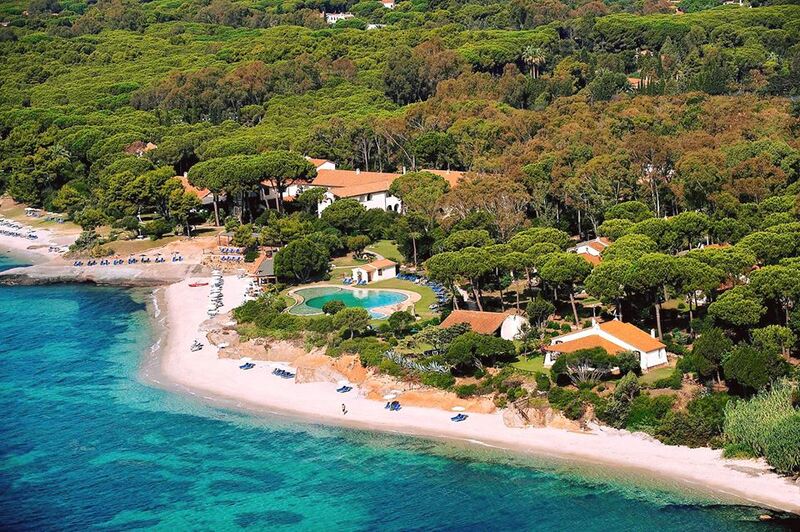 Located directly on the beach, this 4* Resort is set within a natural park that slopes down to the sea, creating a wonderful background to the private beach. 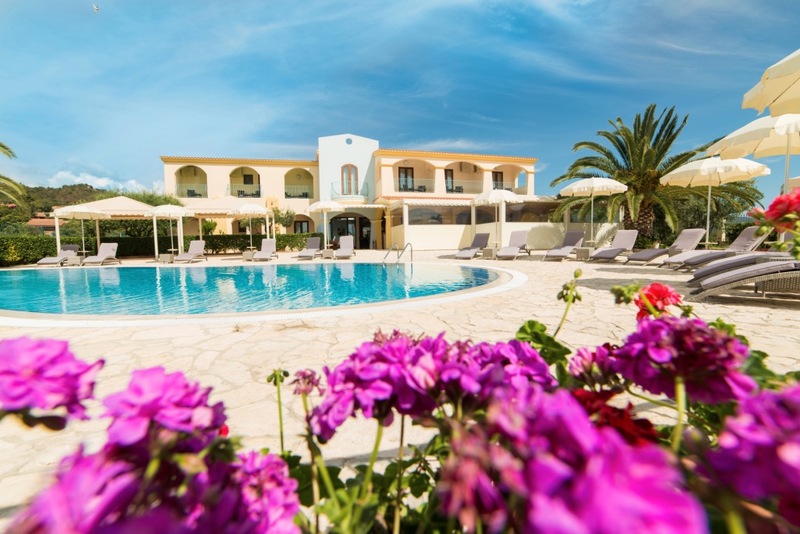 An harmonious fusion between the surrounding scenery and the typical Mediterranean architecture of the main structure: 87 rooms spread among the main building, cottages and villas and two restaurants with panoramic terraces, surrounded by laurel, myrtle, juniper and olive trees. 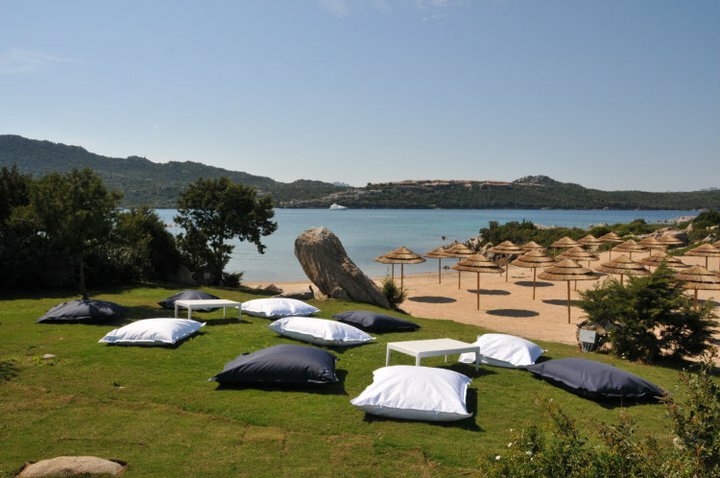 A paradisiac oasis which recall the typical Sardinian hospitality. 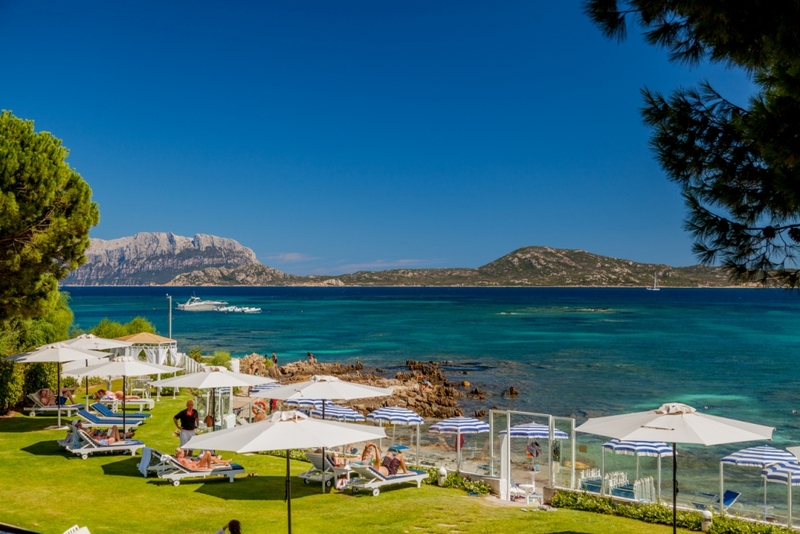 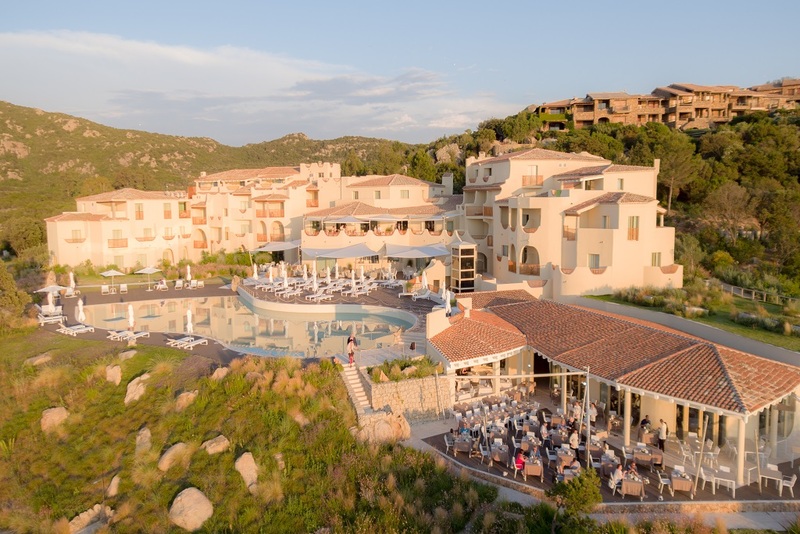 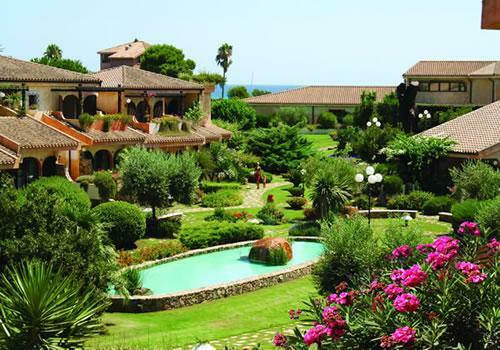 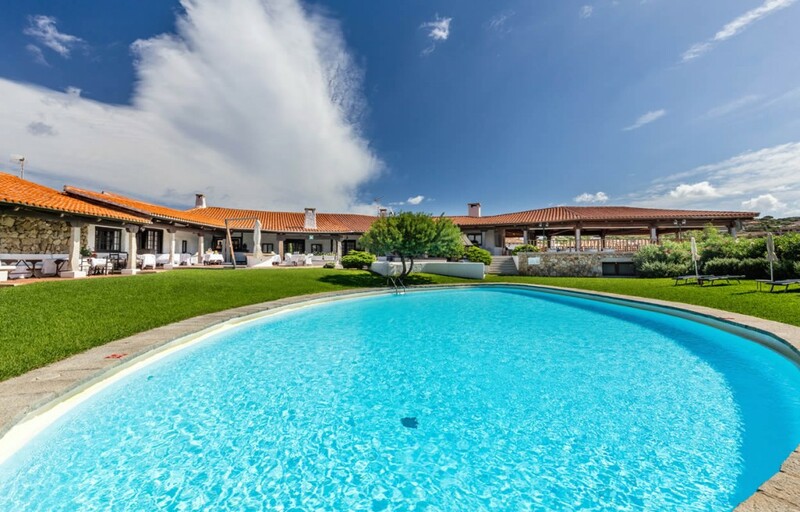 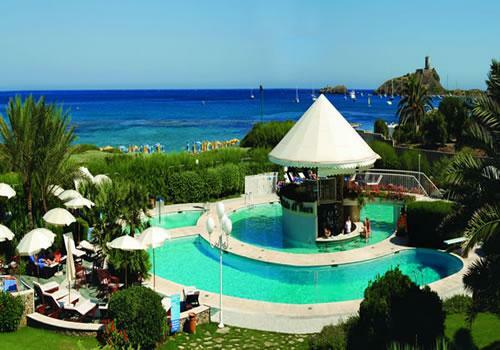 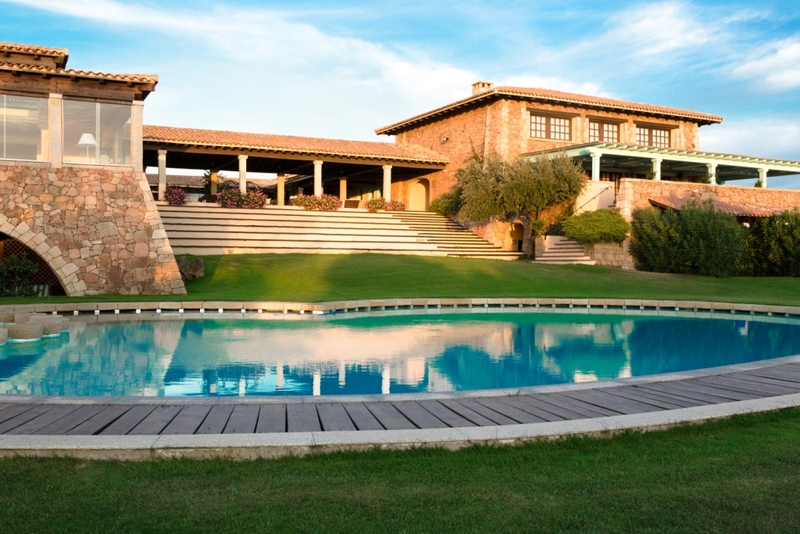 This Golf & SPA Hotel, is set in a unique position in the East coast of Gallura: an oasis of green, flowery gardens dominating white sandy beaches and coves. 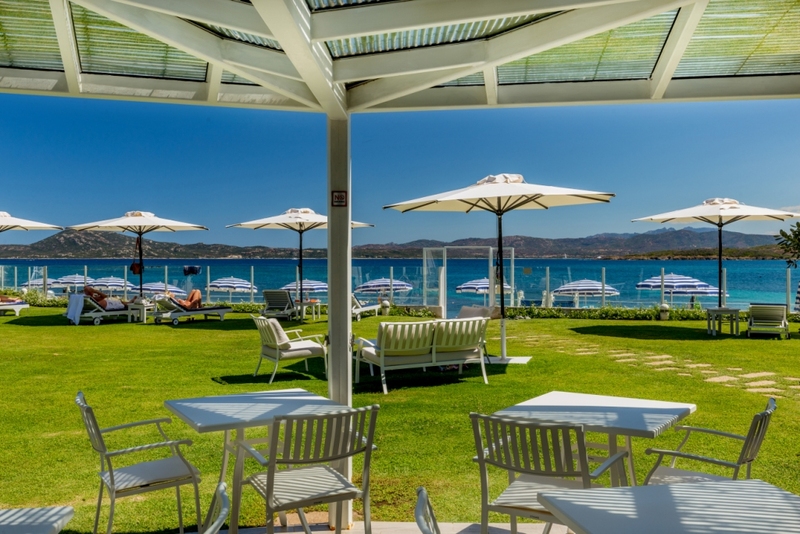 Built in harmony with the unique beauty of the territory, this Hotel is the ideal opportunity to spend some time surrounded by the nature with its breathtaking panoramic view rooms. 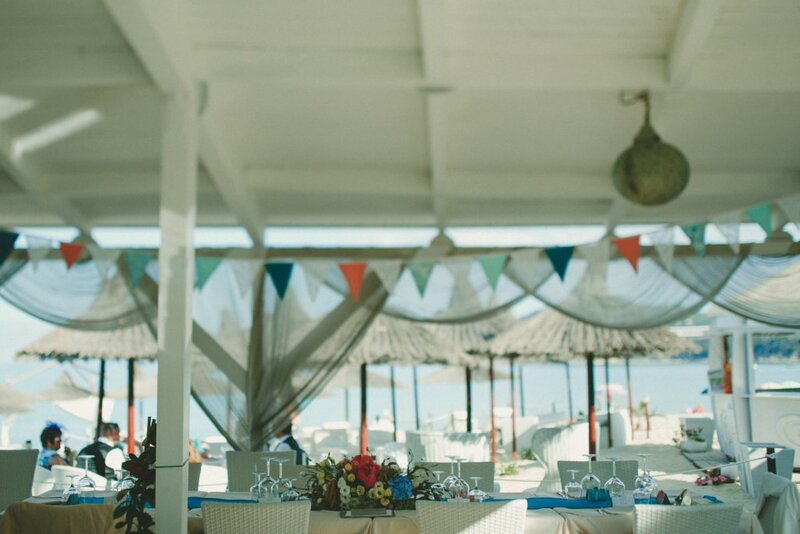 A refined and elegant atmosphere, with a restaurant overlooking the sea, a golf club and a prestigious SPA will be the perfect frame for a luxurious unforgettable day. 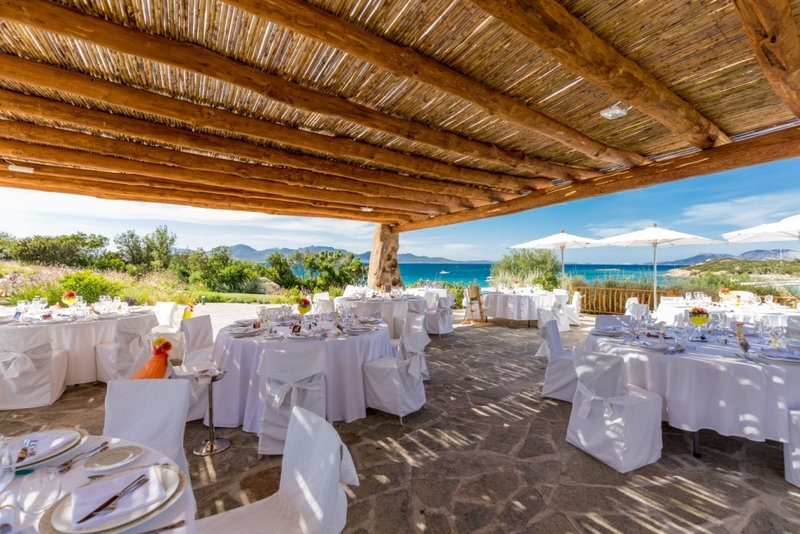 A fabulous beach restaurant located in one of the most beautiful white sandy beaches of the southern east coast of Sardinia. 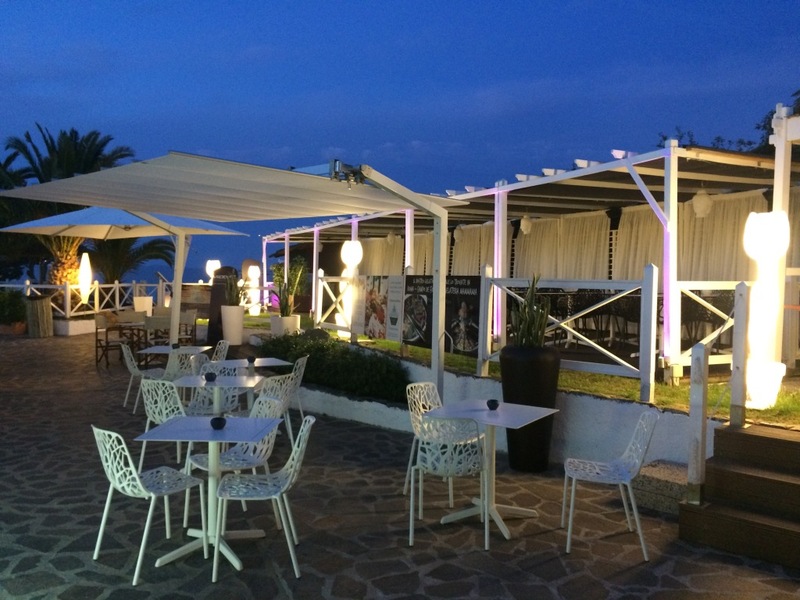 A suggestive, trendy and modern venue with a lovely terrace from where to admire the unique colours of the sunset while smelling the delicate scents of Mediterranean maquis. 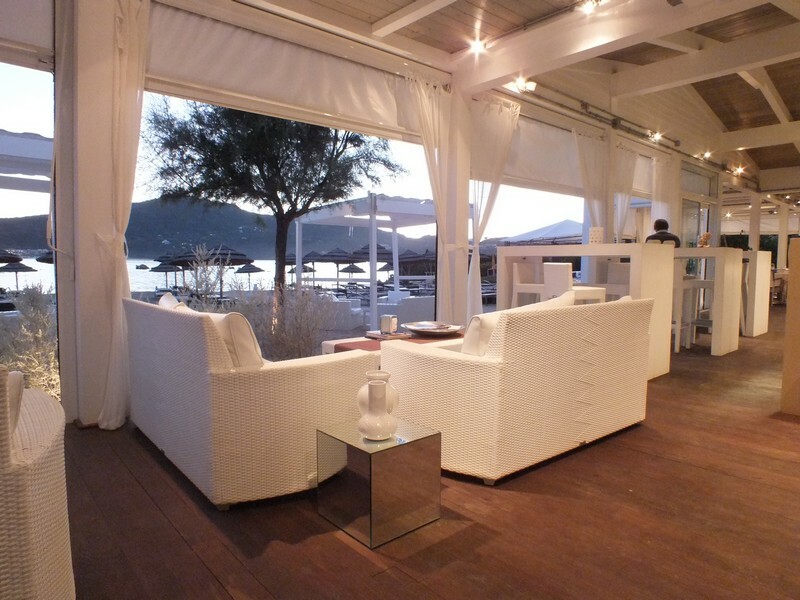 We suggest this venue for young couples looking for a relaxed and informal atmosphere. 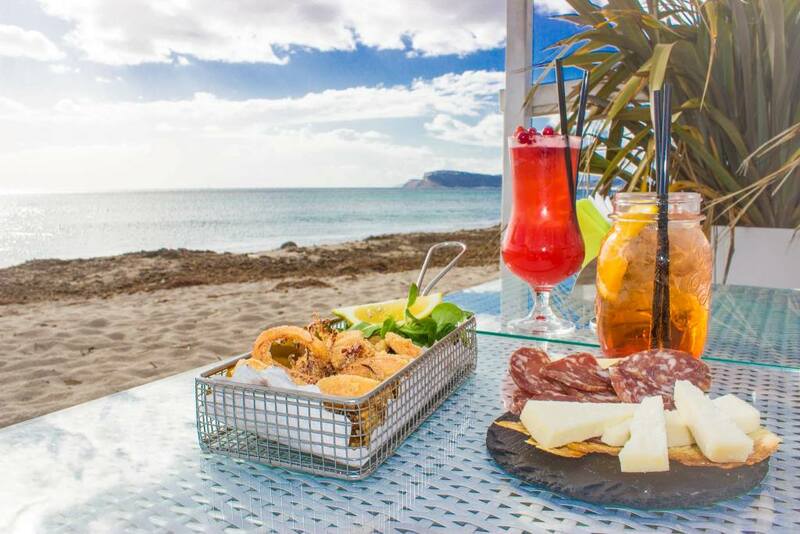 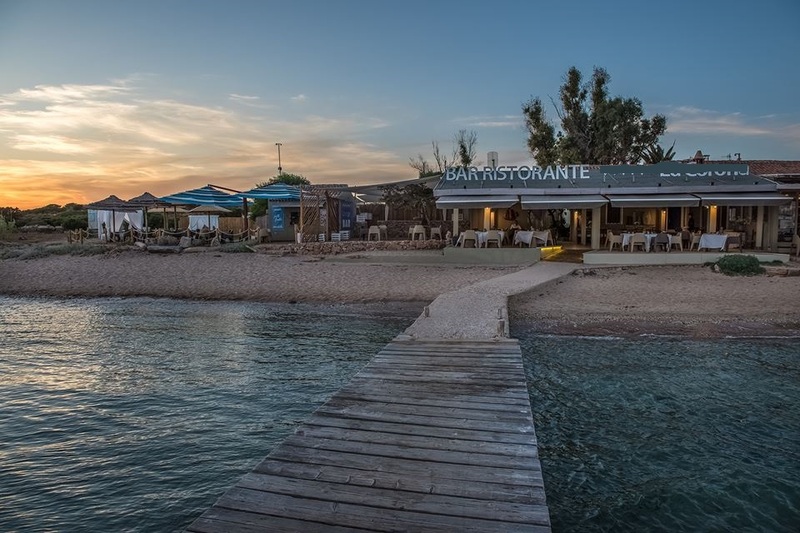 This informal beach restaurant is located in Chia, one of the most beautiful white sandy beaches of the south west coast of Sardinia, not far from Cagliari Airport. 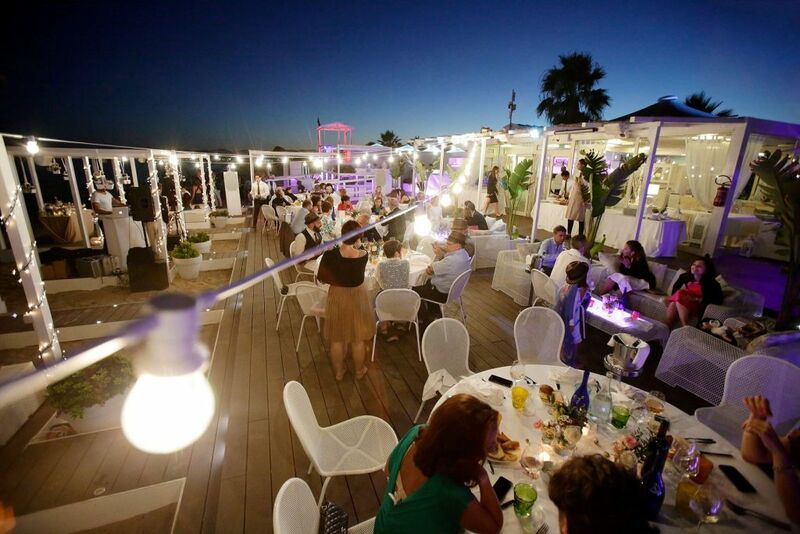 A trendy beach restaurant settled in the middle of a long sandy beach with lovely gazebos where the view looses itself on the horizon in a sunset of unique colours and Mediterranean flavours. 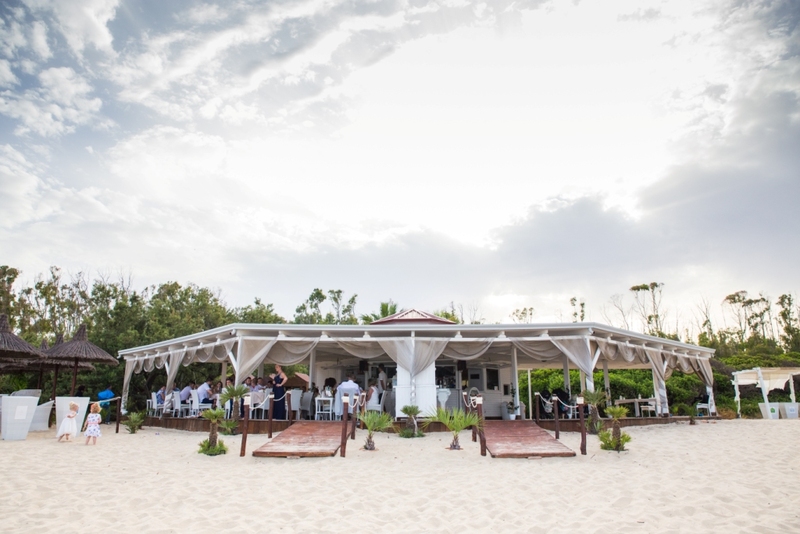 We suggest this venue for young couples looking for a relaxed and informal wedding or pre wedding parties and post wedding happy hours. 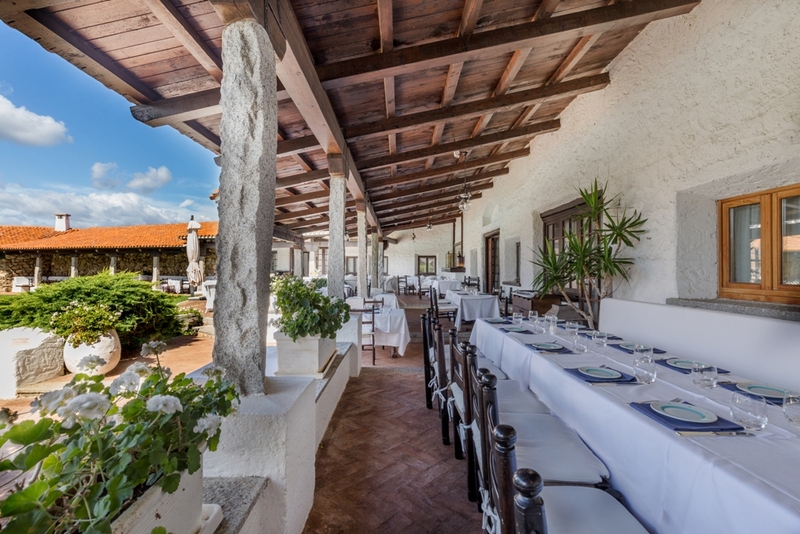 This charming 4* Hotel is located in the south eastern coast, just a few steps from the long famous beaches of Costa Rei. 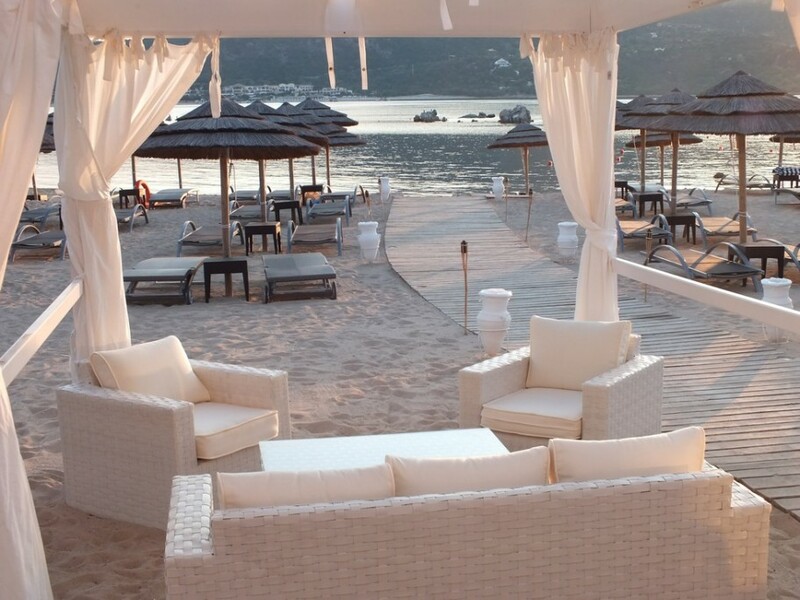 This newly-built hotel in modern style has a private beach of white sand just 350 mtr far which is perfect for beach ceremonies. 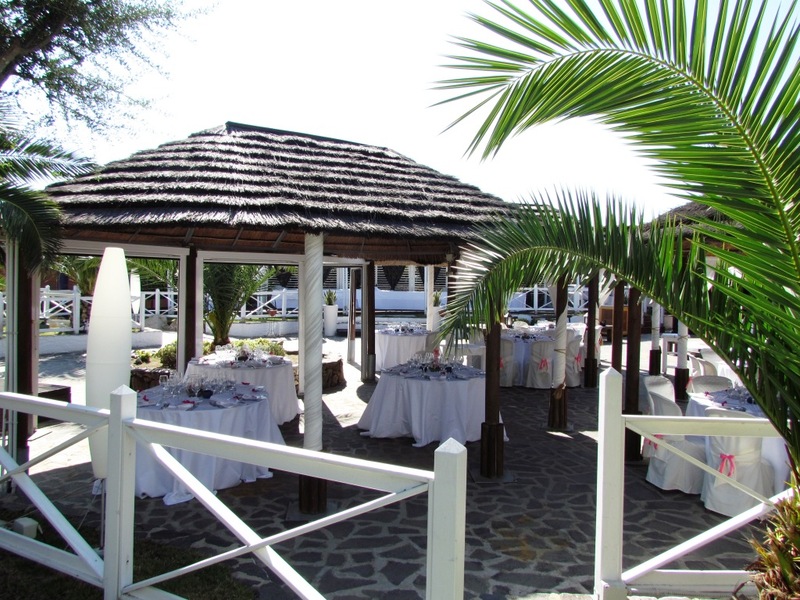 It offers an intimate an charming atmosphere due to its small size and provides its guests with high quality services. 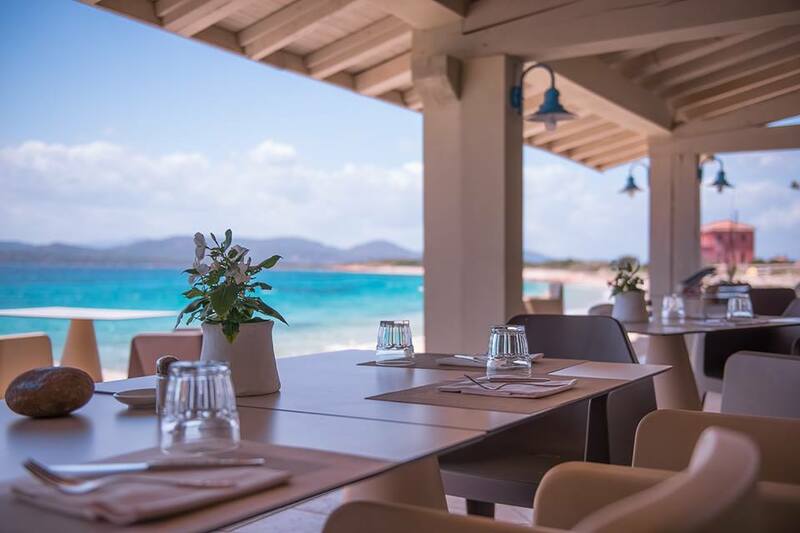 The Restaurant offers some typical dishes of the Mediterranean tradition and Sardinian specialties prepared with very fresh products from our sea and our land. 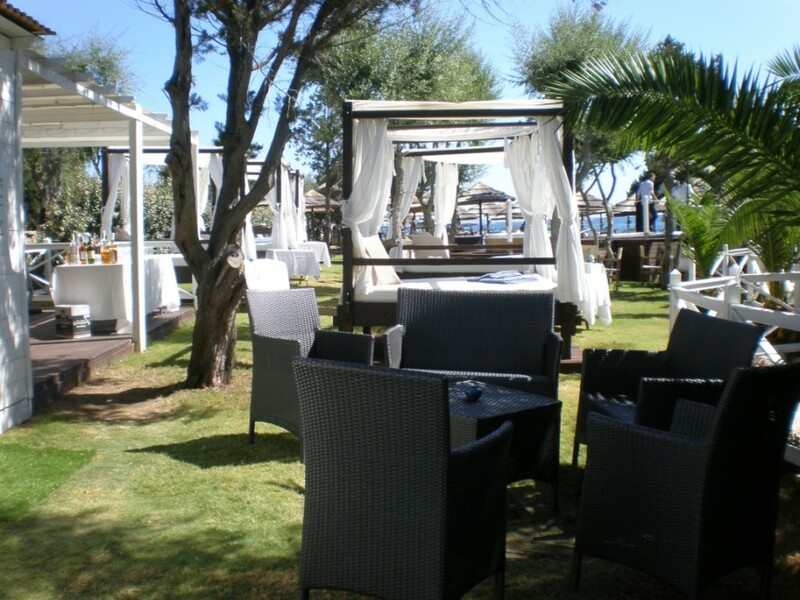 In the very heart of the Emerald coast, this elegant beach restaurant, with a glamour white touch, is located in a secluded bay of a green garden, with direct access to a small rocky beach. 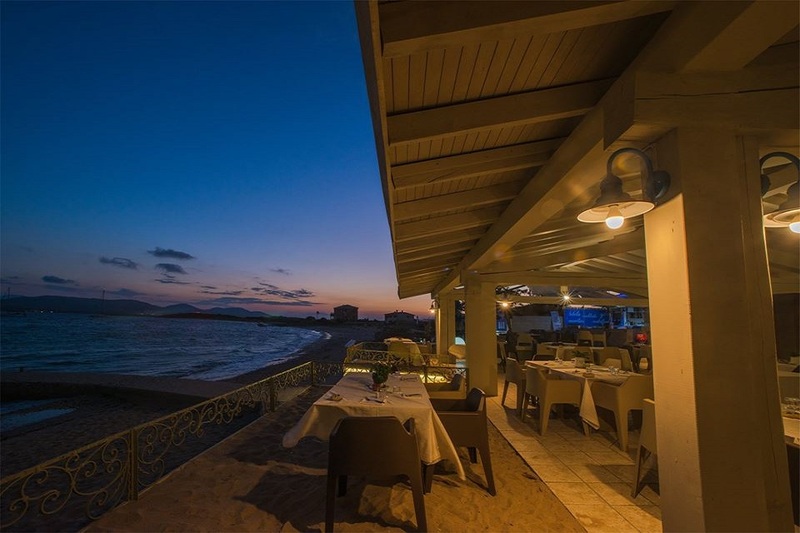 The view looses itself on the horizon in a sunset of unique colours and Mediterranean flavours. 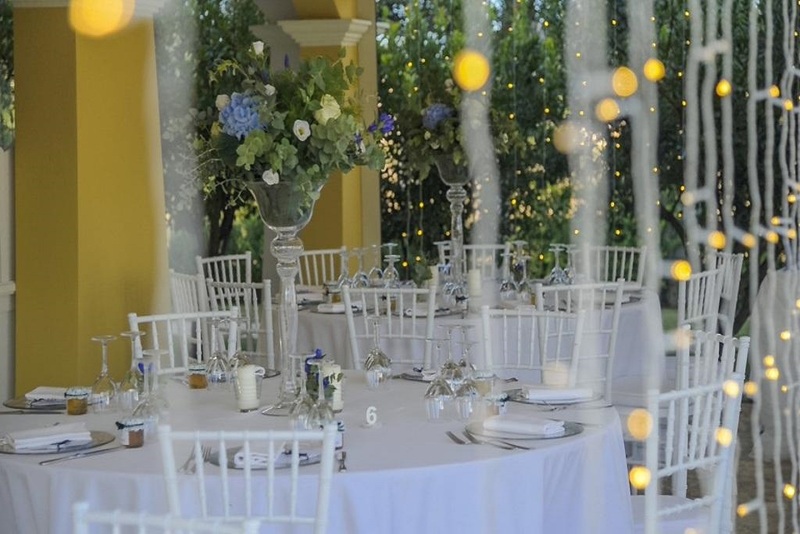 This venue offers several spaces that can be used for the wedding: an indoor hall, an open terrace, a big garden with wooden gazebos and white sofas. 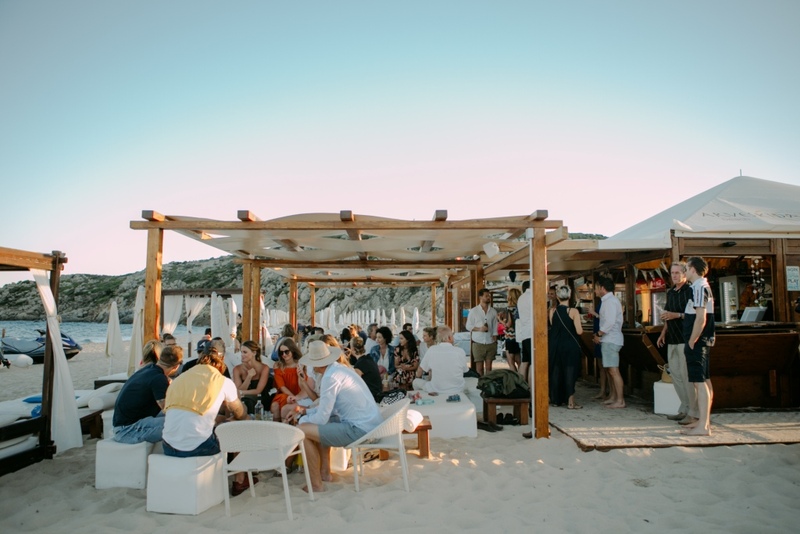 The open spaces are ideal locations for hosting late night after parties with the best DJs and dancing. 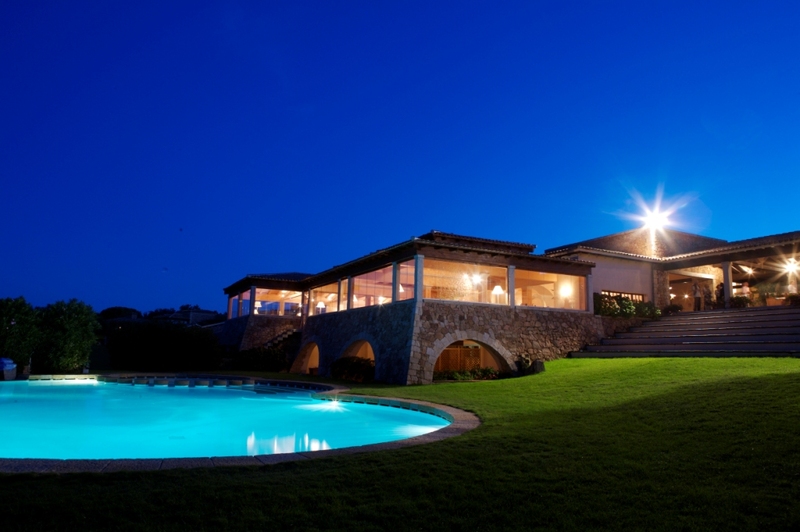 When night falls, the lighting designs create a magical atmosphere combining modern architectural style with the natural landscapes of the surrounding area.